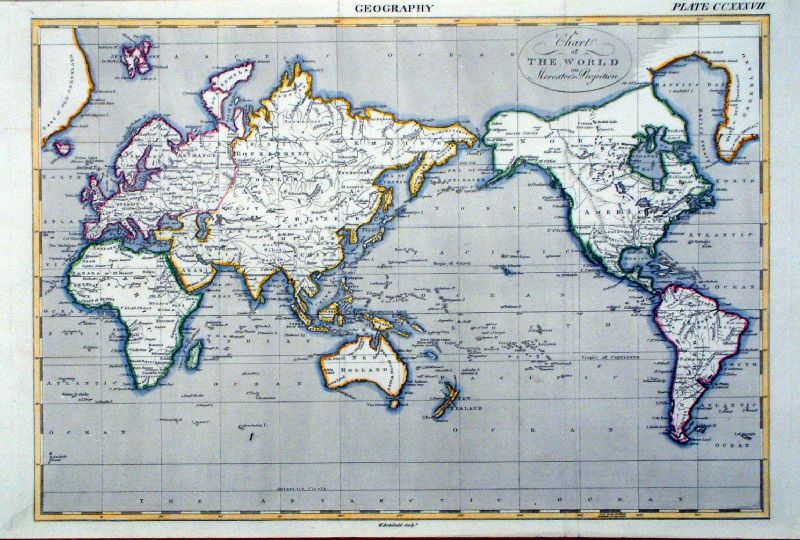 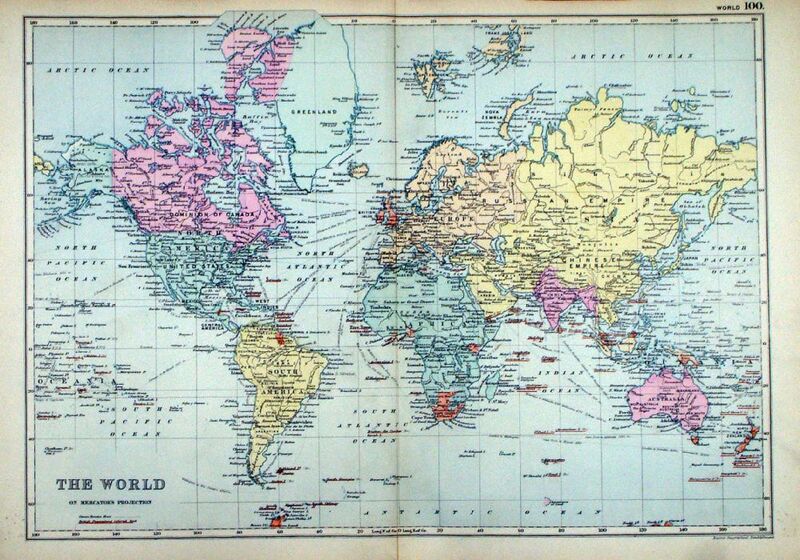 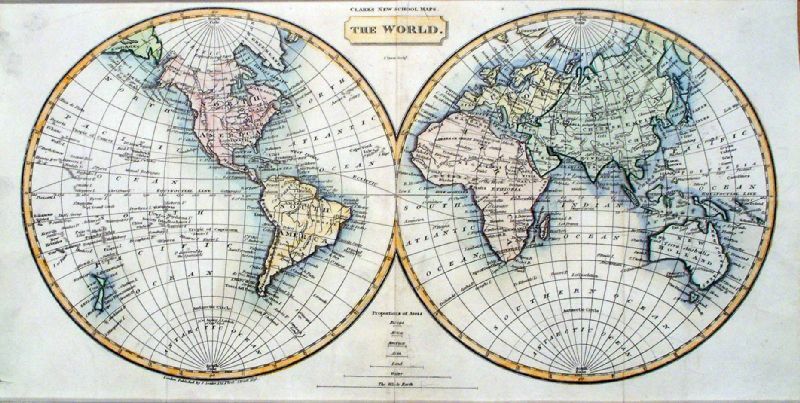 The World - Double Hemispheres - shows California as an island. 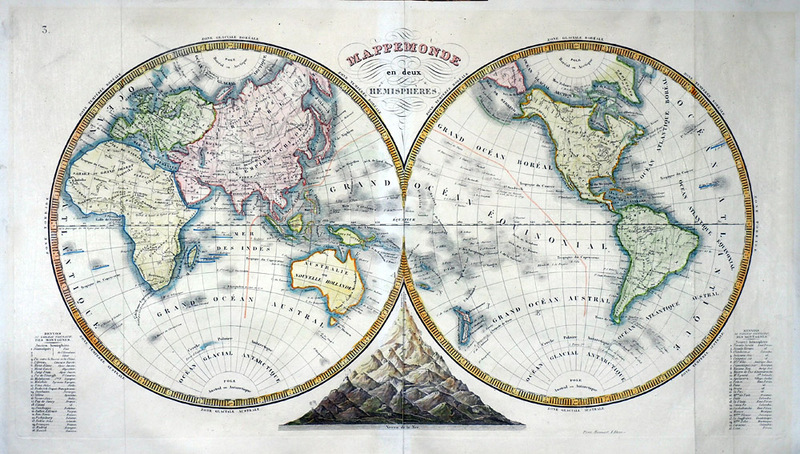 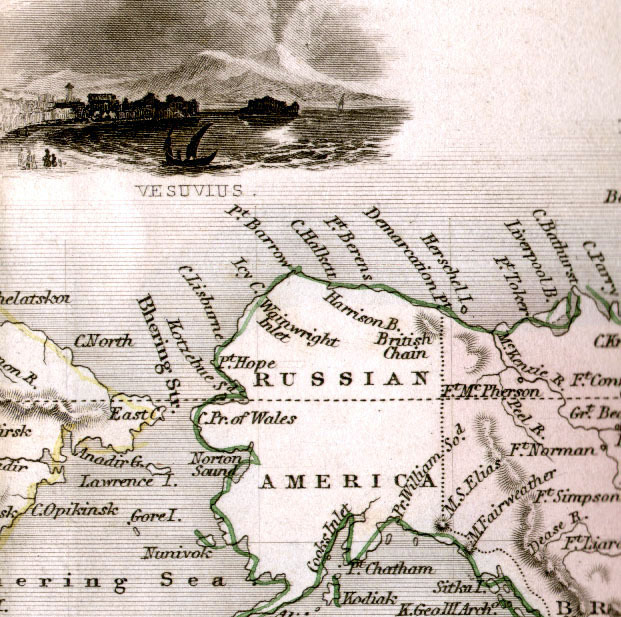 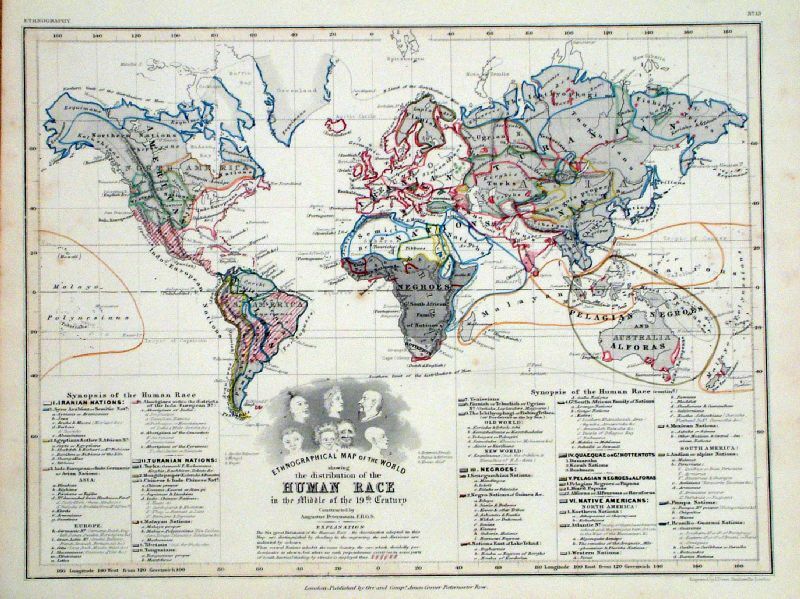 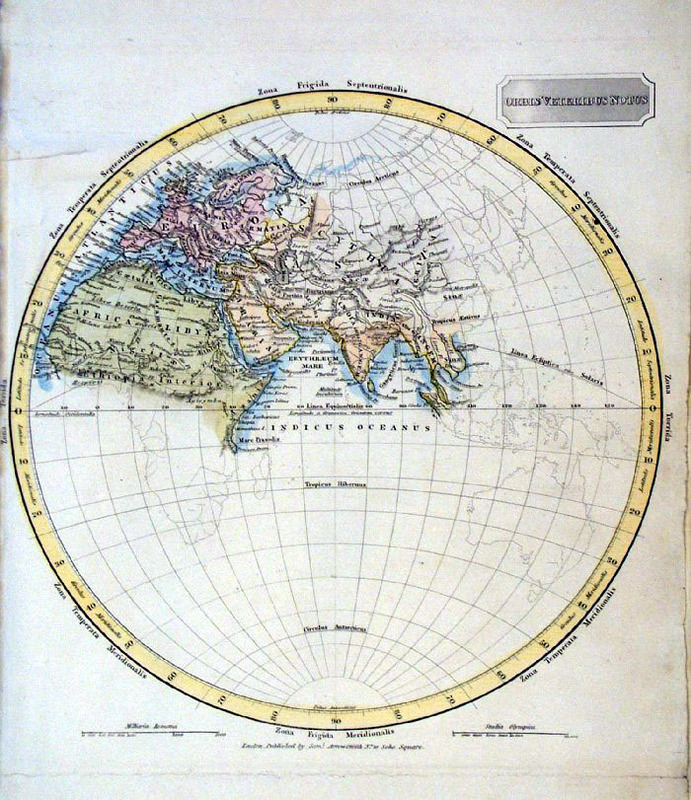 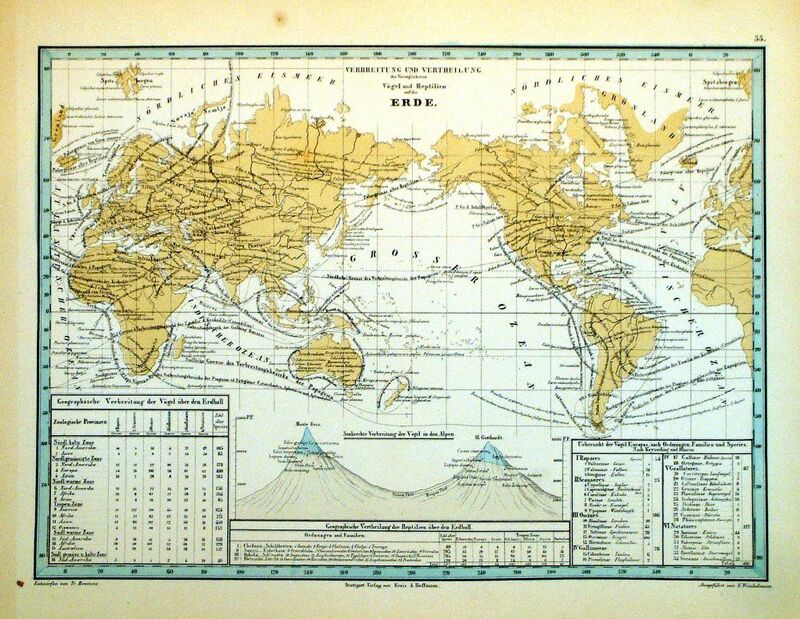 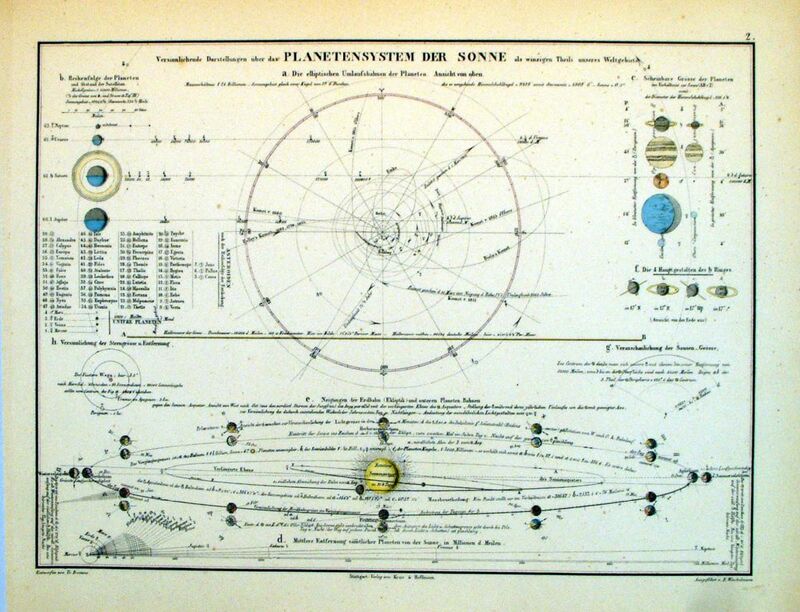 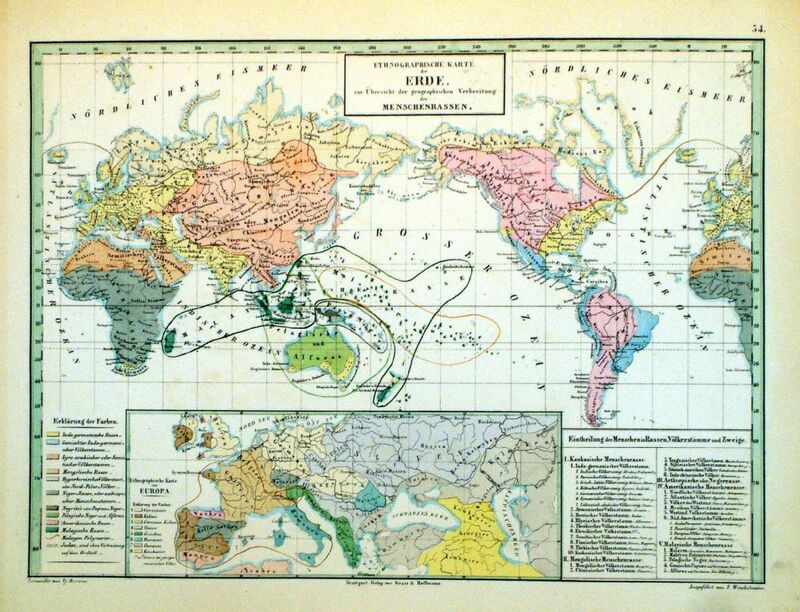 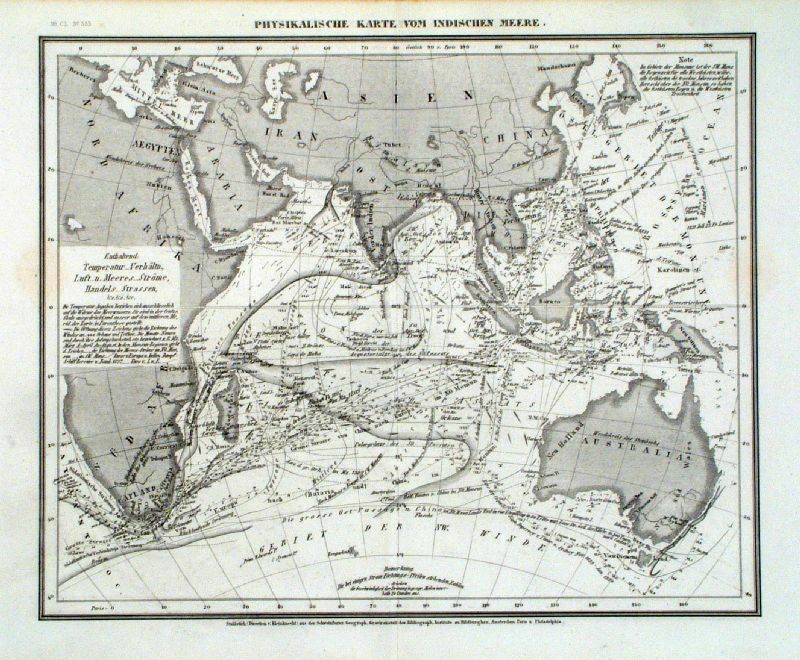 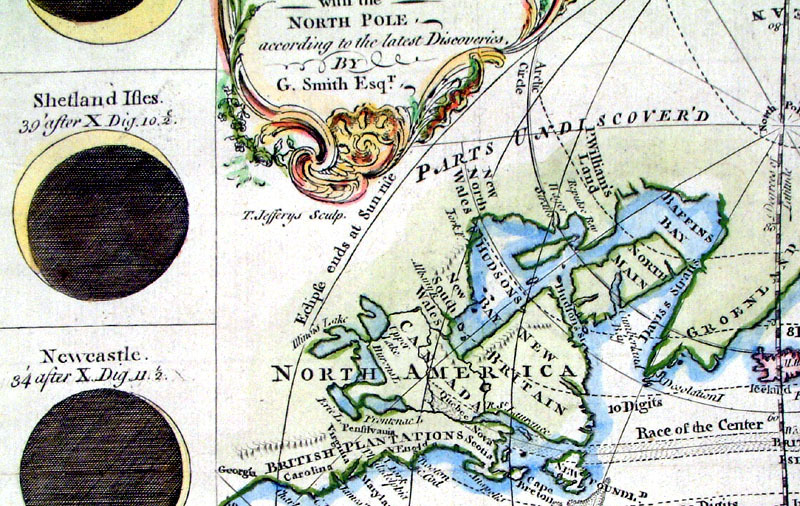 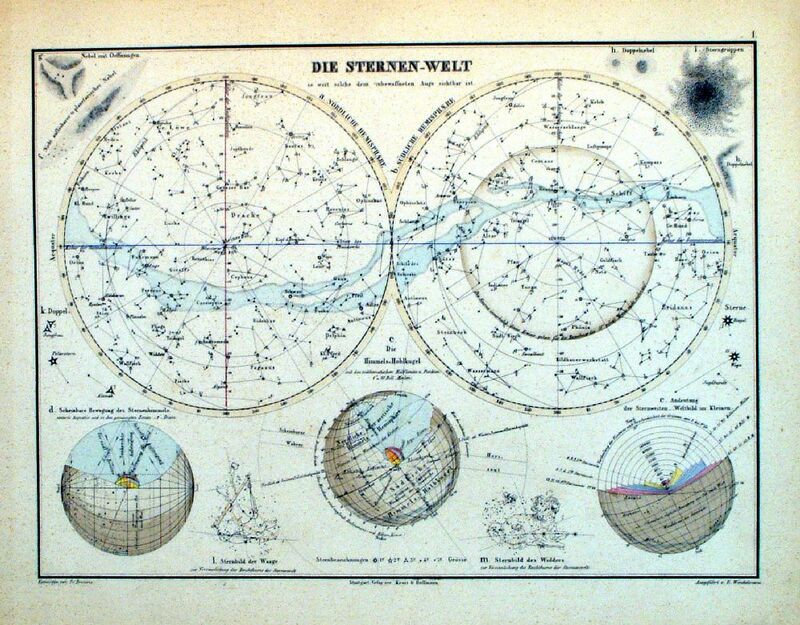 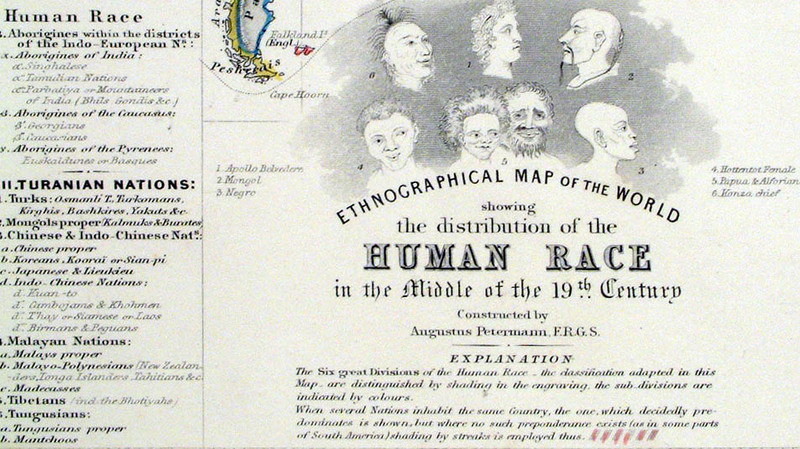 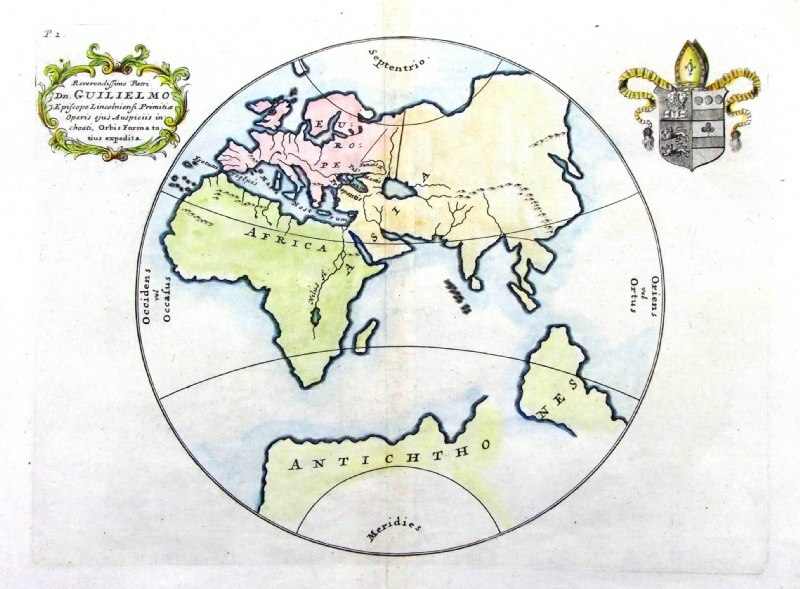 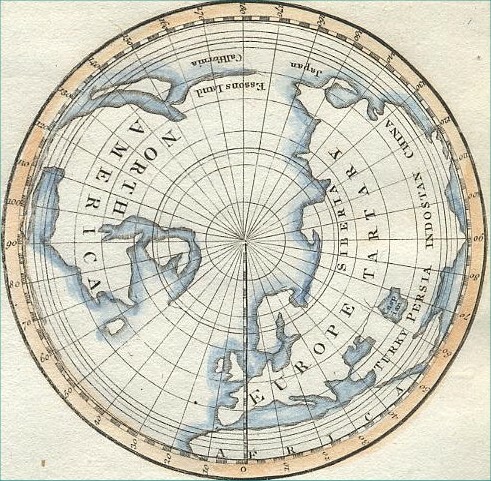 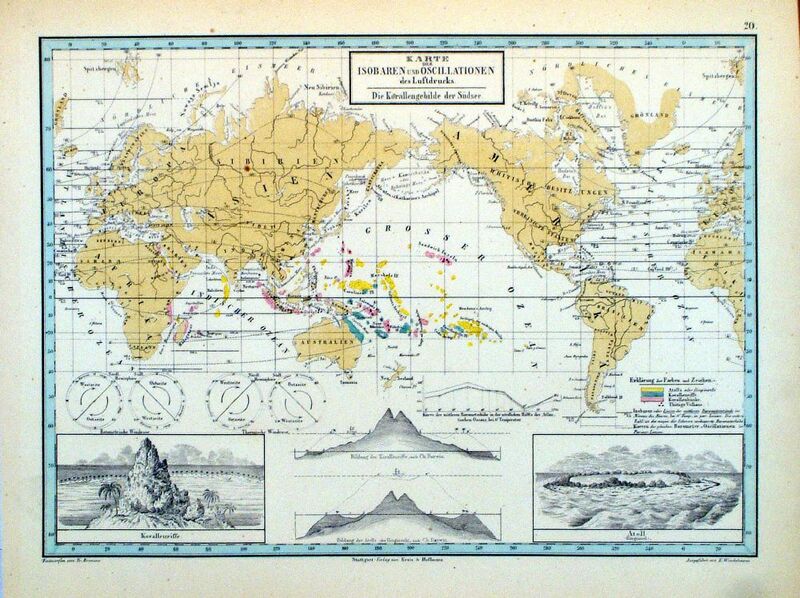 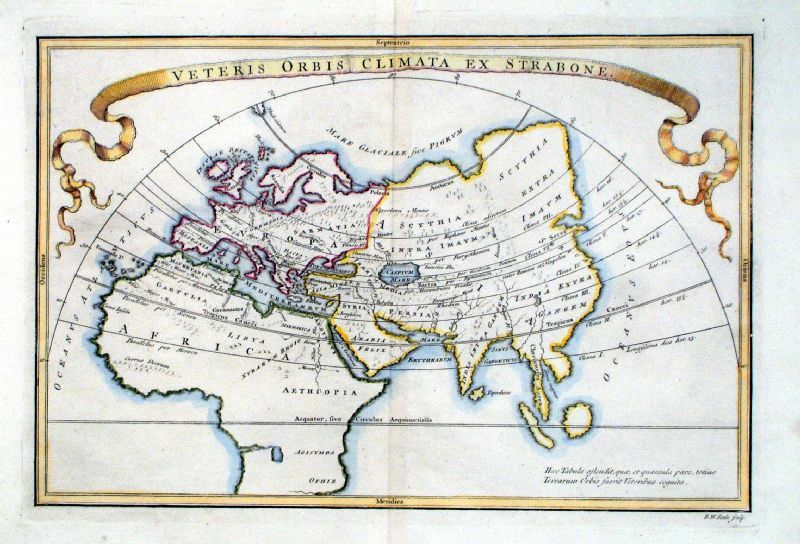 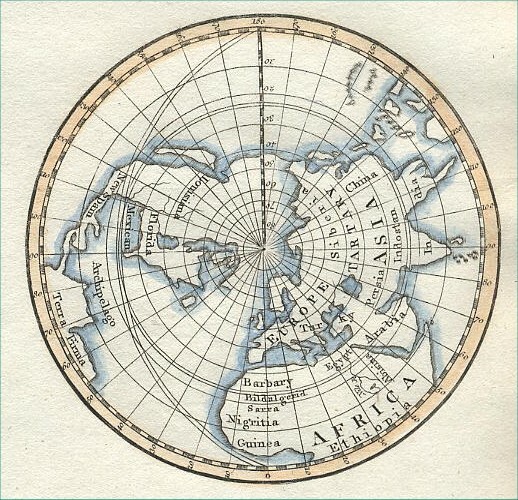 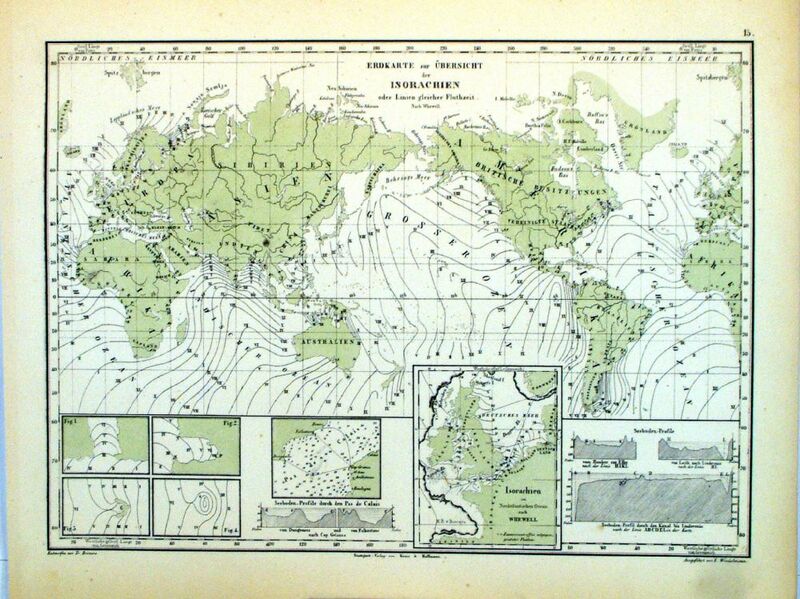 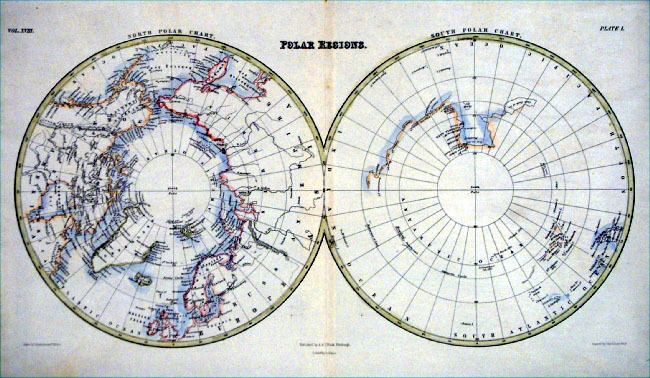 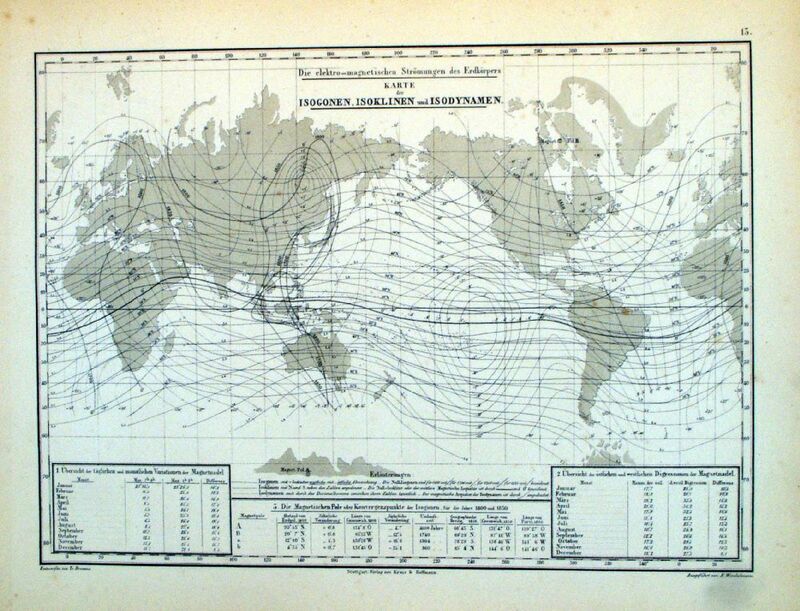 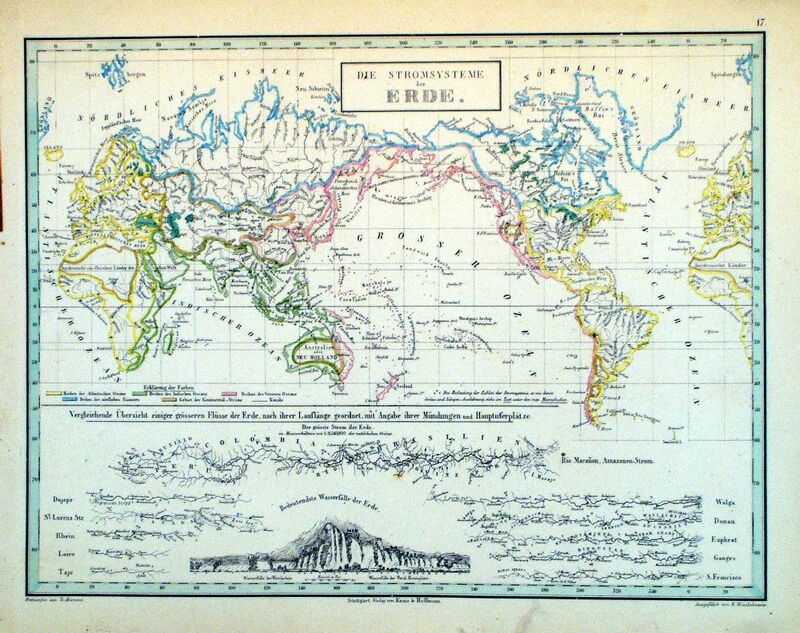 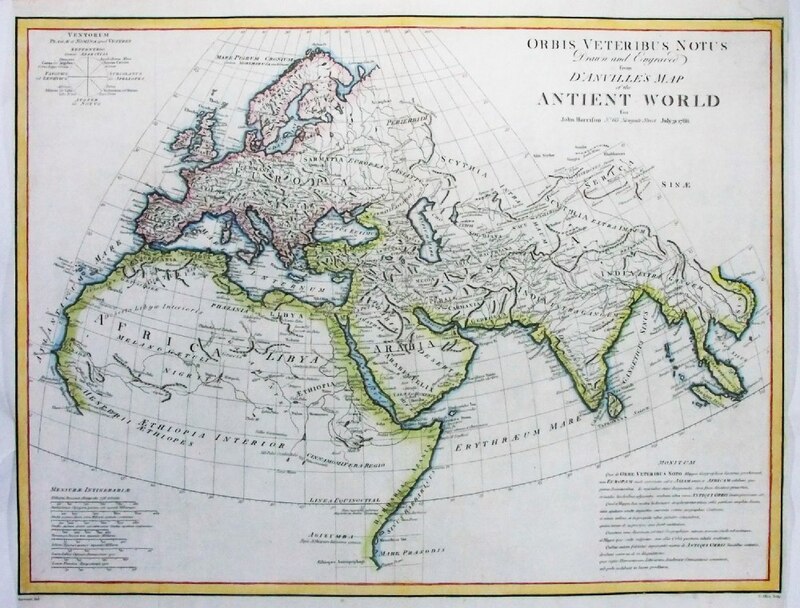 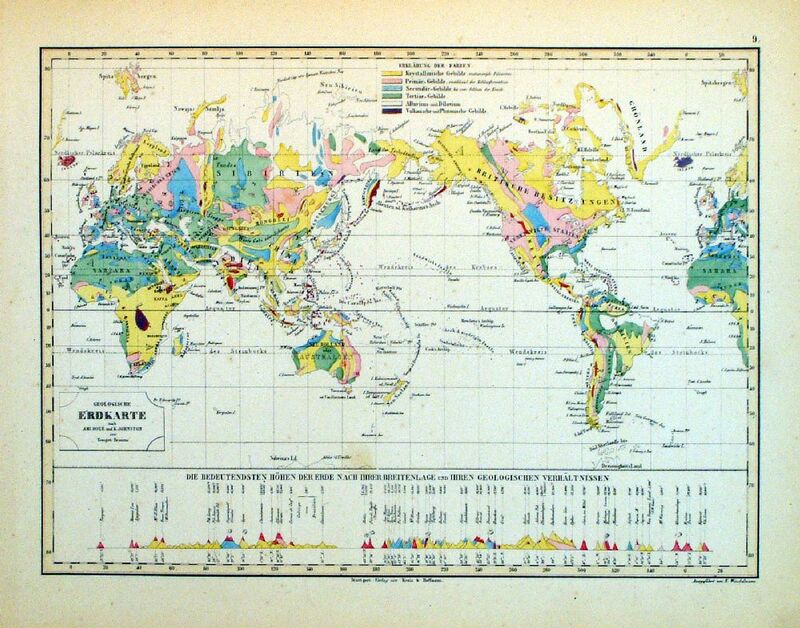 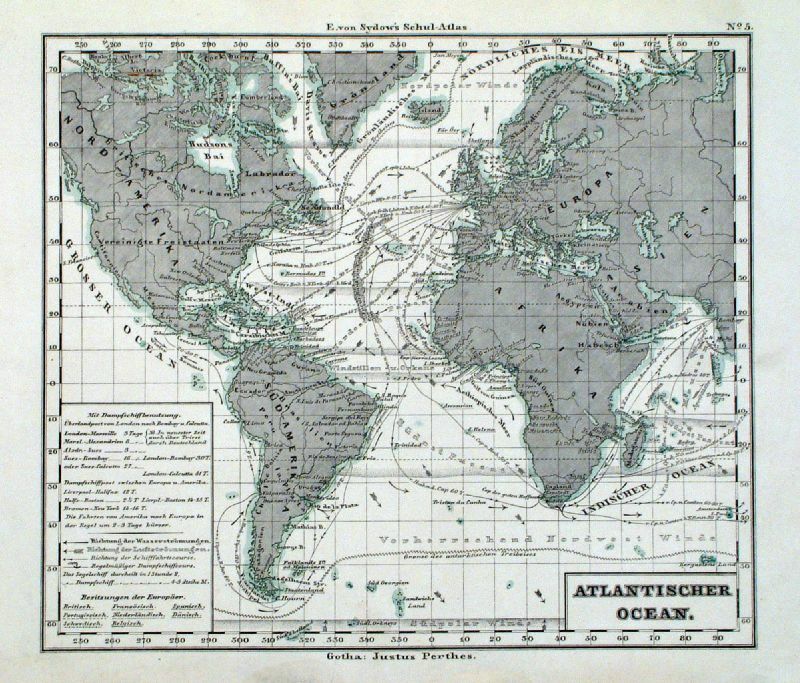 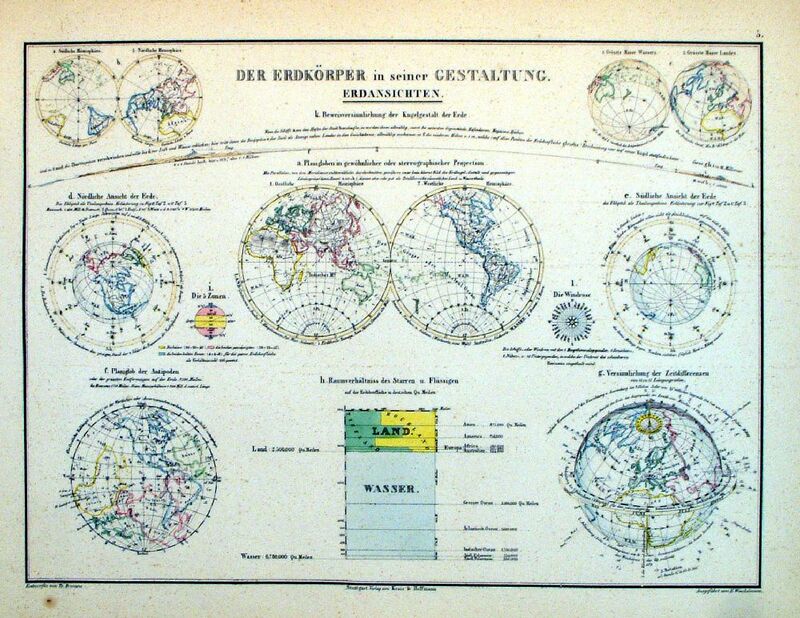 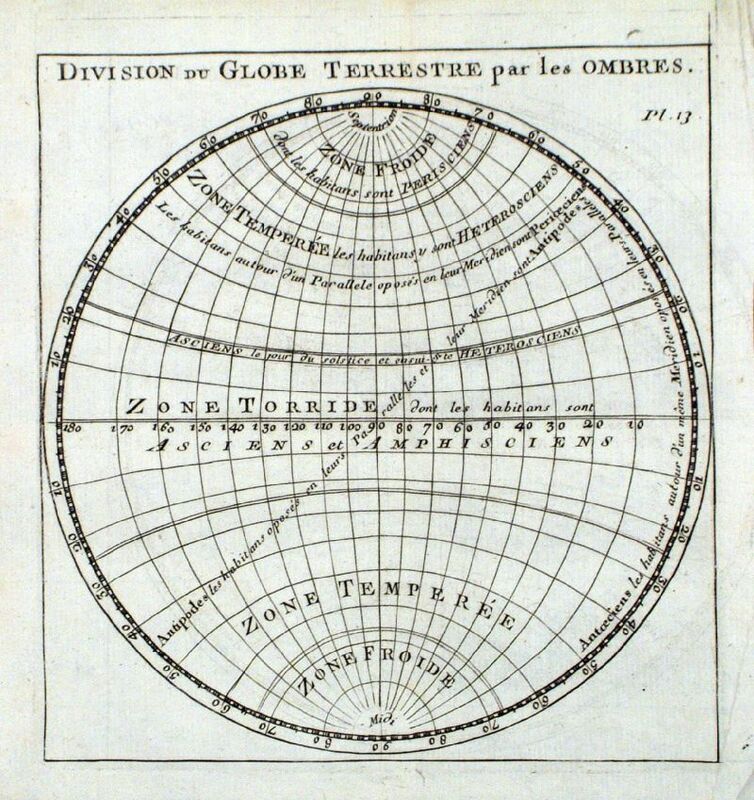 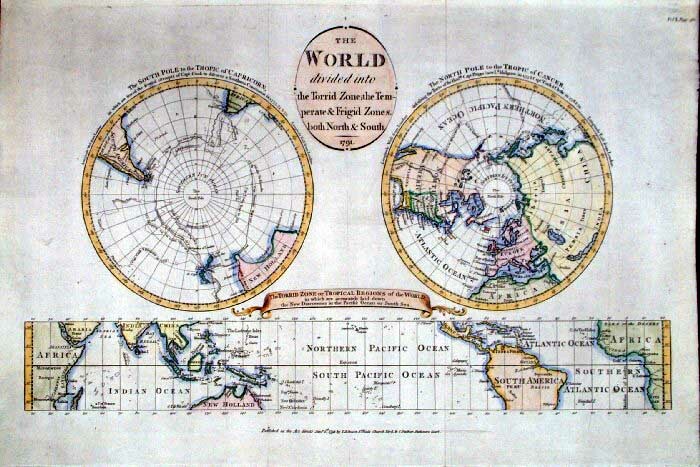 A very unusual map featuring the polar and equatorial regions. 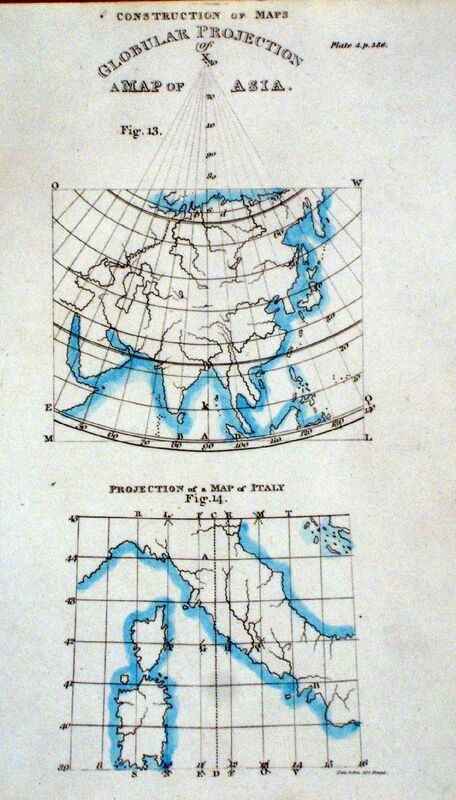 size: 450 x 310 mm, 2 folds. 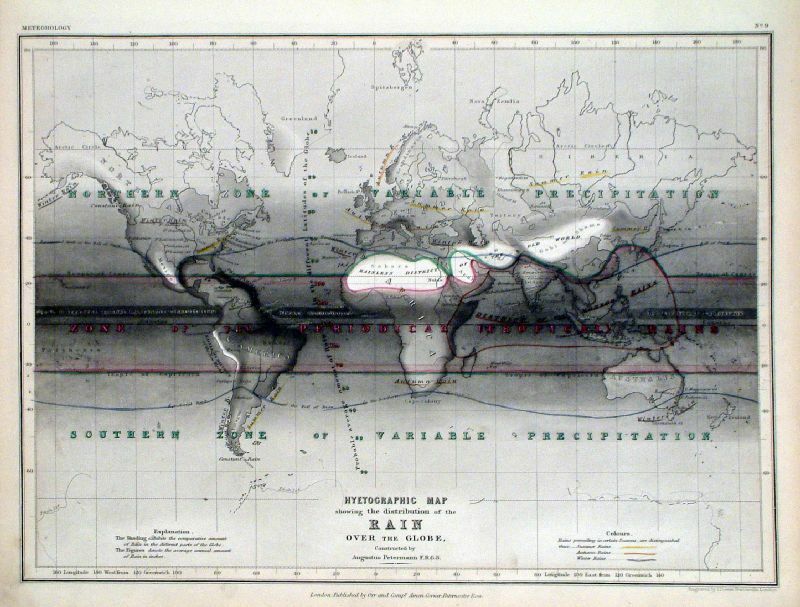 Dotted lines indicating total eclipse path 'Race of the Center' with partial eclipses shown as radiating contour lines. 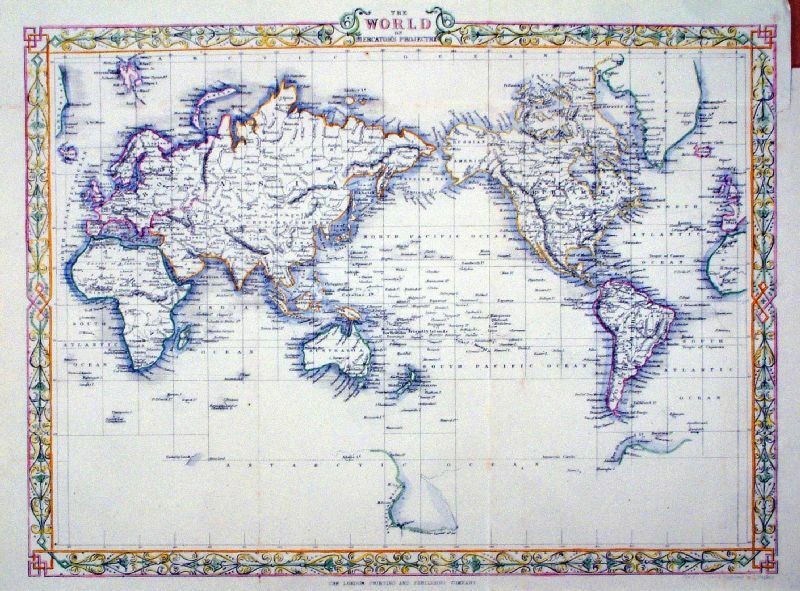 Copper engraving size: 460 x 330 mm, several folds. 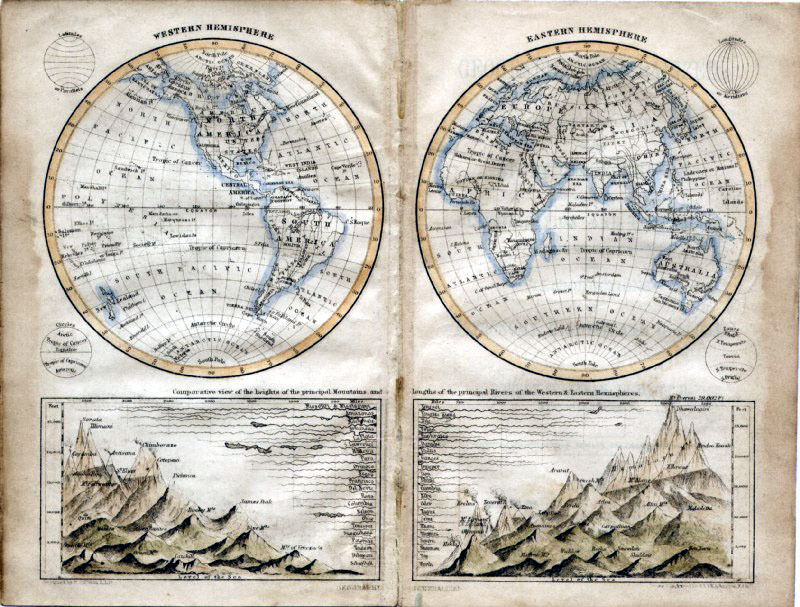 This double hemisphere is the joining of two adjacent pages. 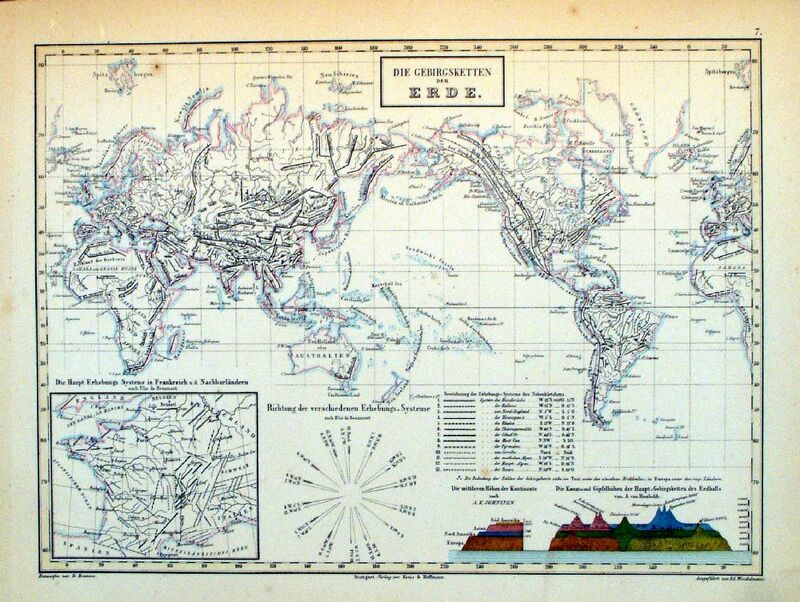 Copper engraving size: 390 x 200 mm. 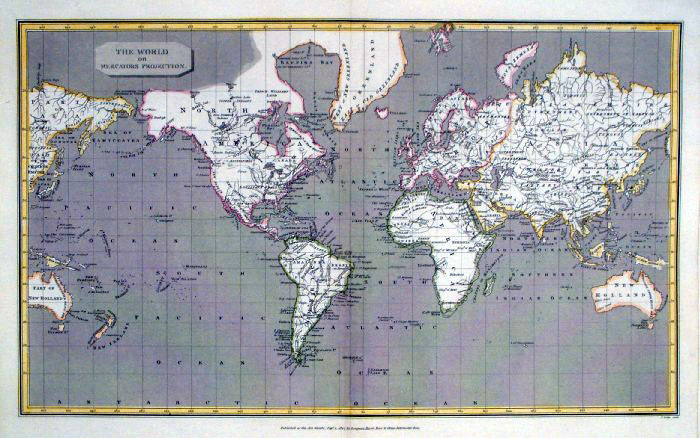 Copper engraving size: 290 x 230 mm, tight top margin, small hole in Canada. 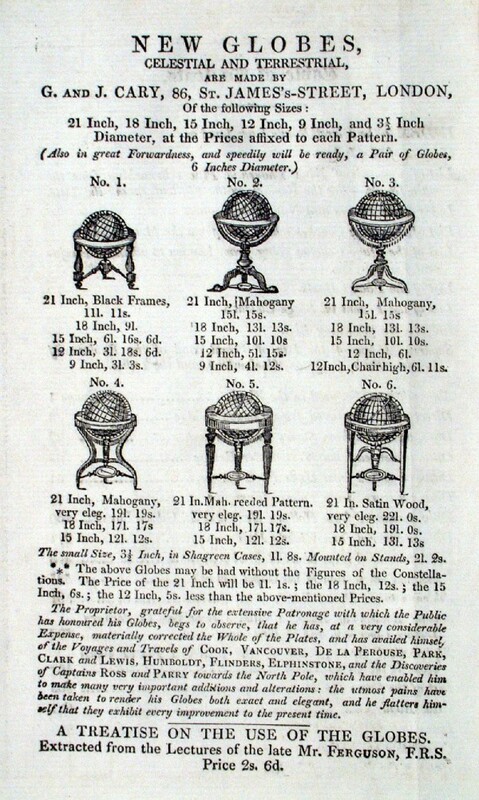 Engraving error - image is reversed, text is correct. 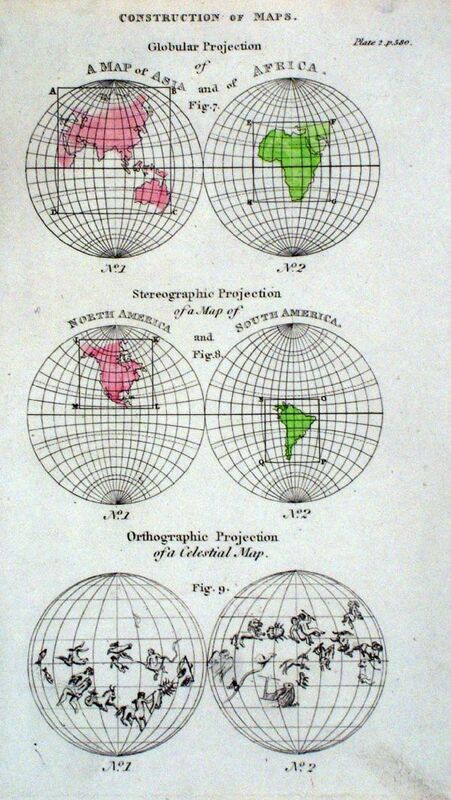 Unusual world projections. 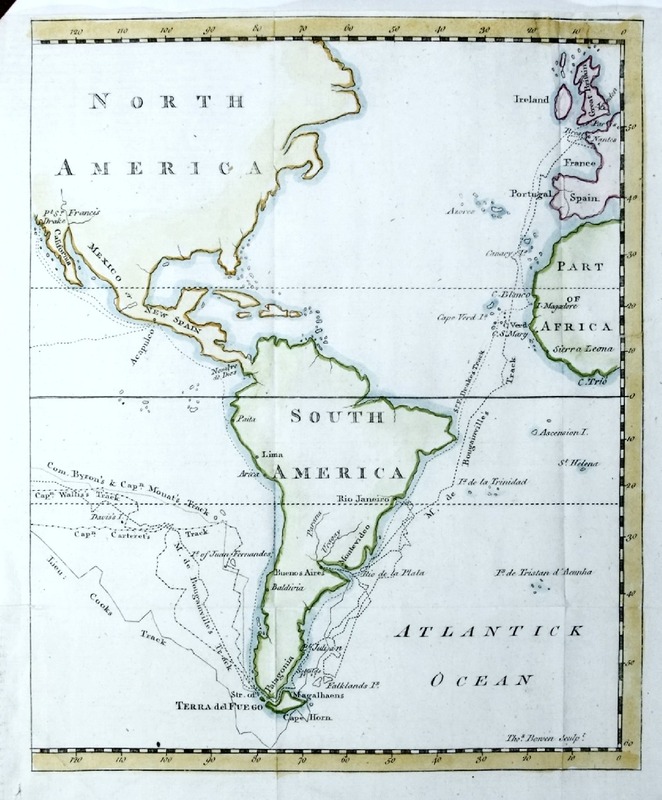 California shown as an island on two projections. 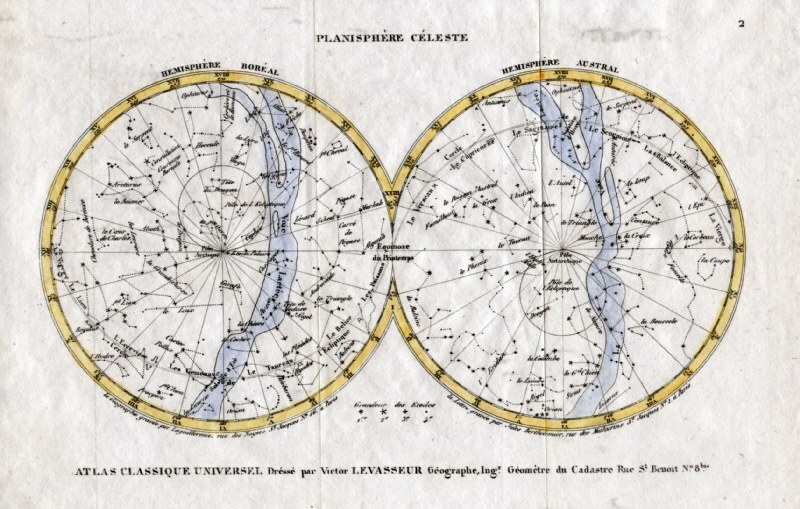 size: 300 x 240 mm, centre fold. 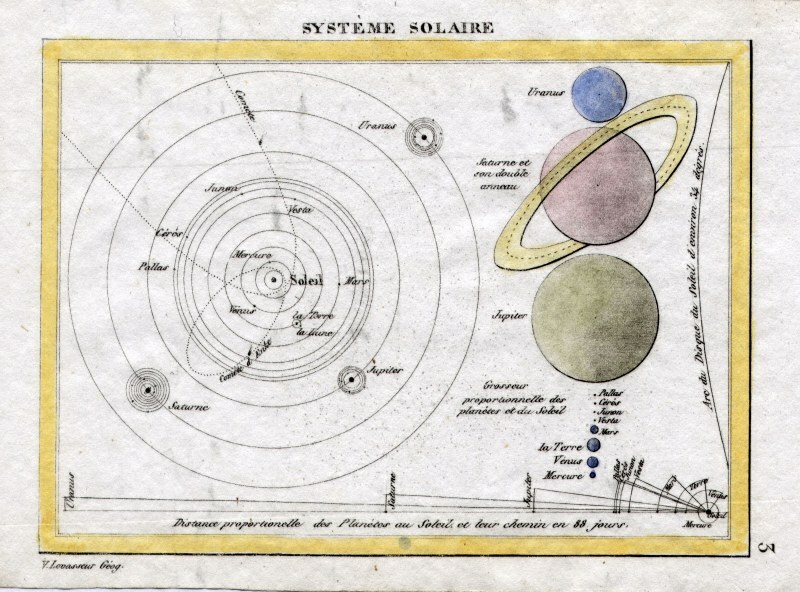 size: 200 x 150 mm, centre fold, slight discolouration at far side margins. 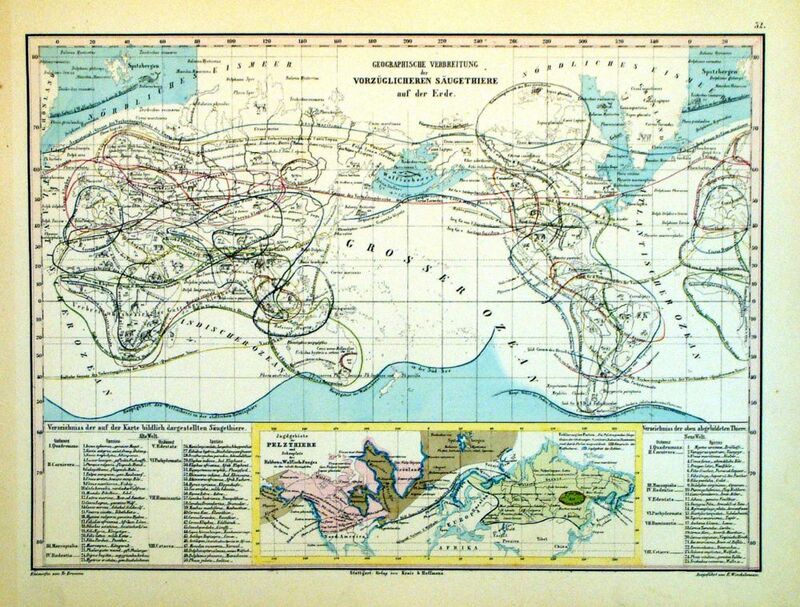 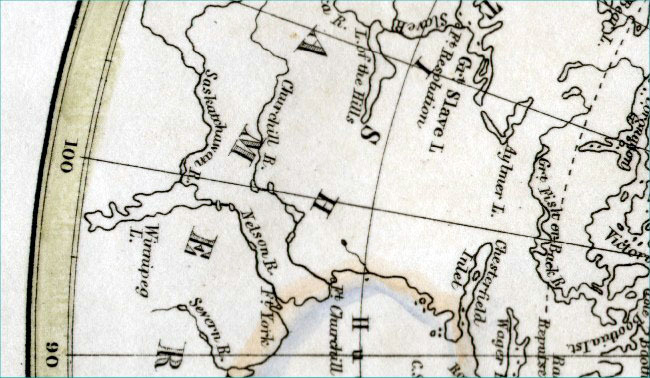 Africa - The Track of M.de Bourgainville's expedition. 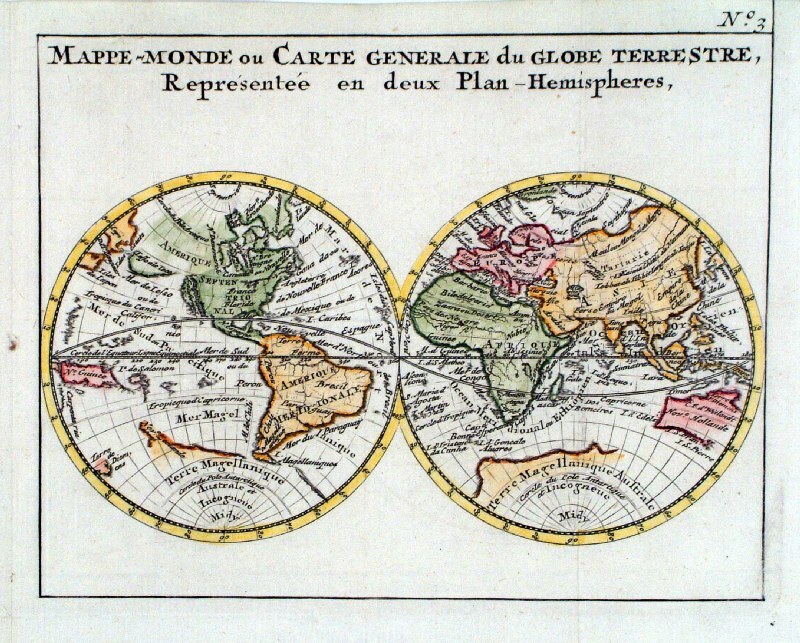 Capt Mouat, Francis Drake and M. de Bourgainville. 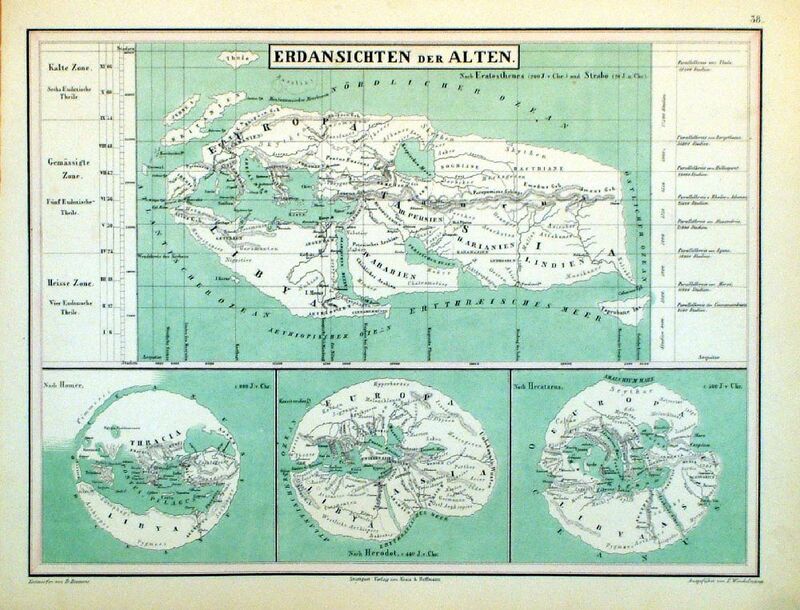 Each map 220 x 260mm - ideally framed side by side. 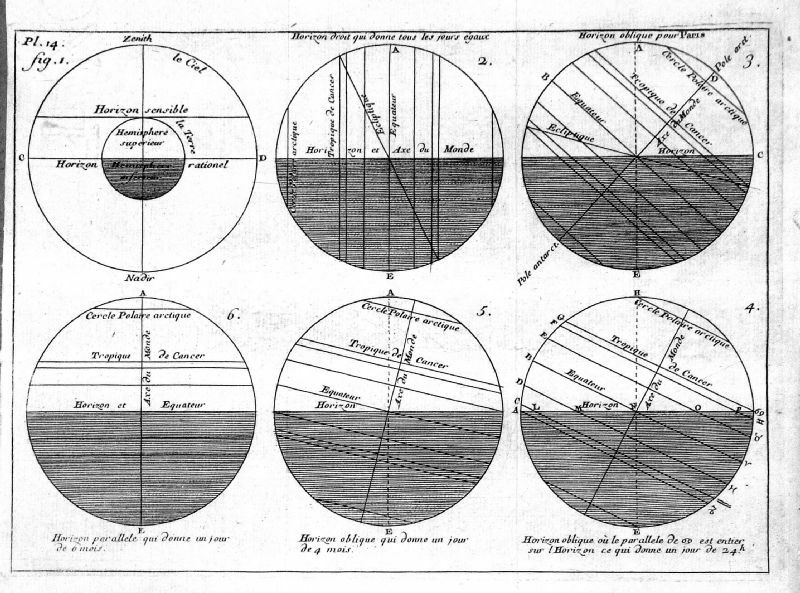 Tight left margin, small repairs at right and left margins. 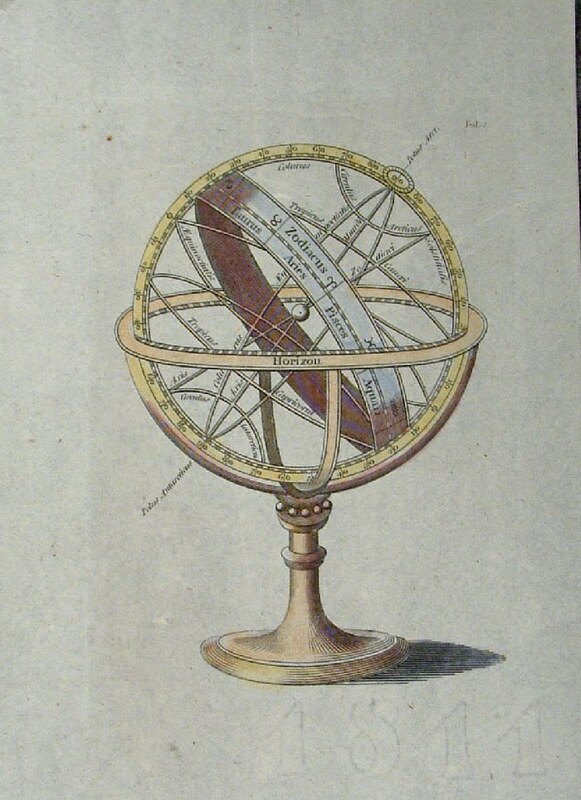 size: 150 x 95 mm, slightly soiled surface. 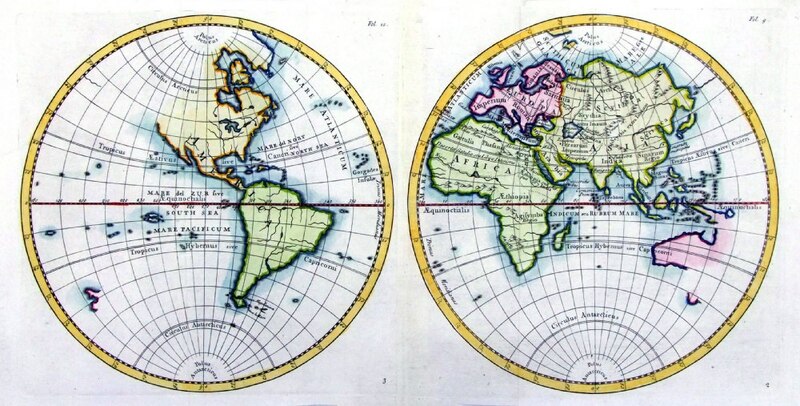 Unusual projections of the continents of the East and Western Hemispheres. 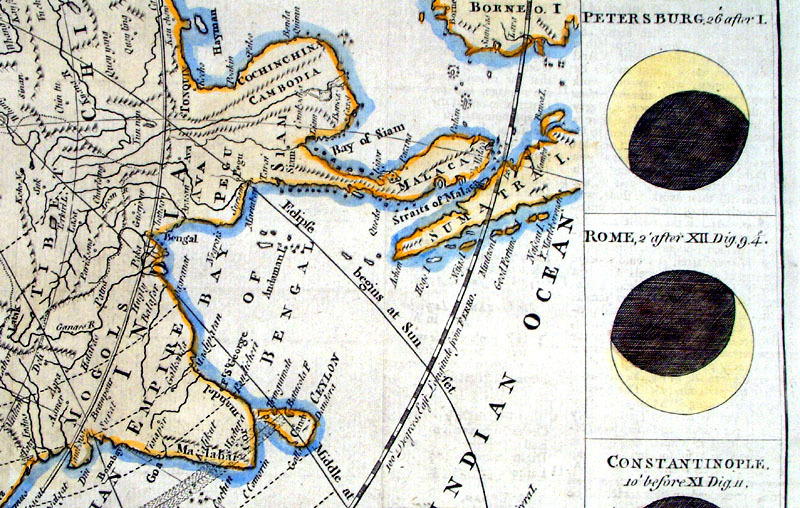 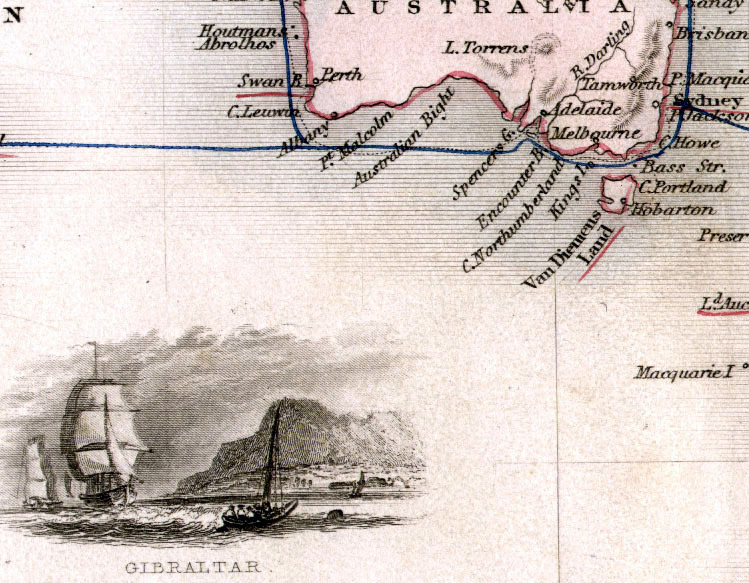 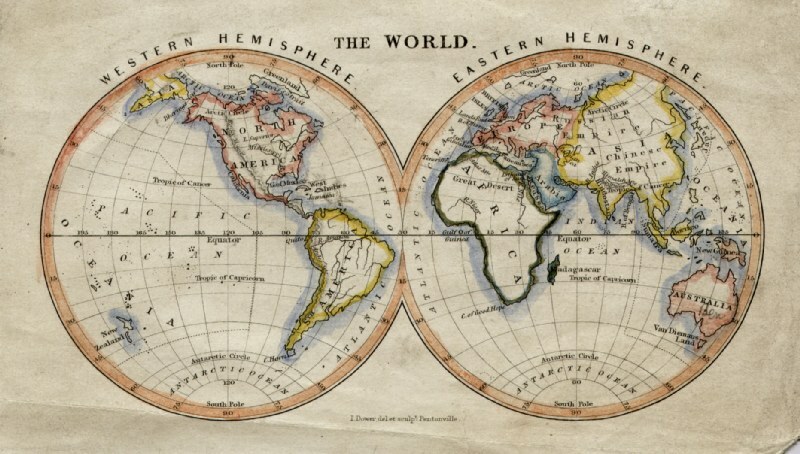 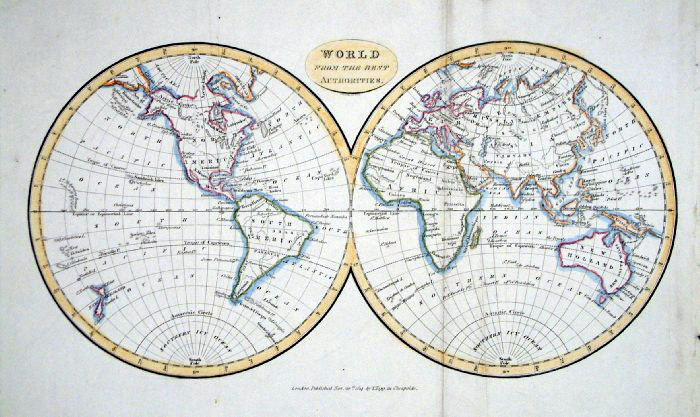 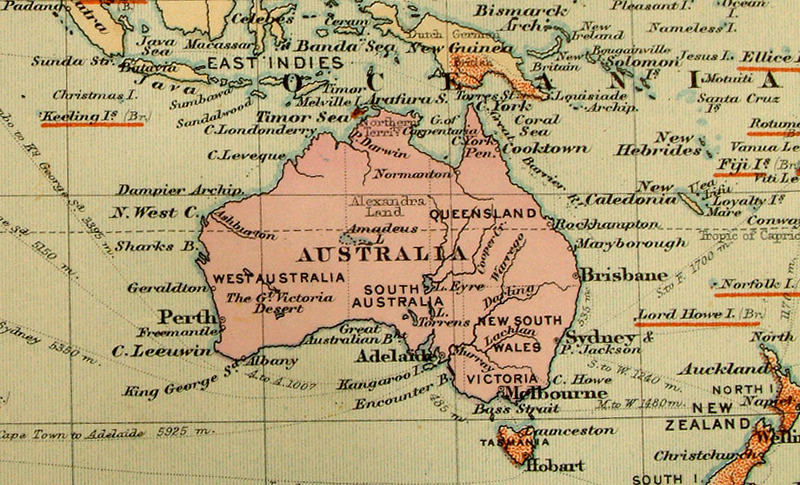 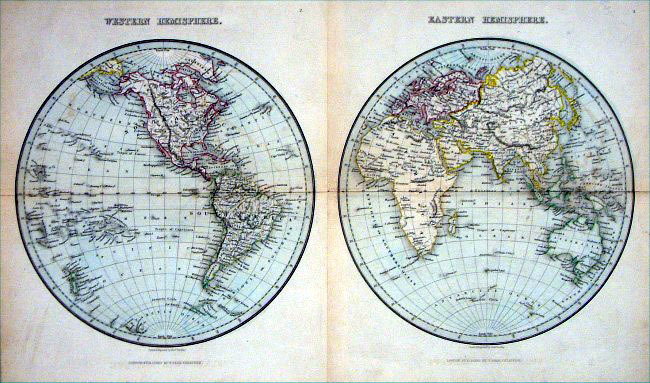 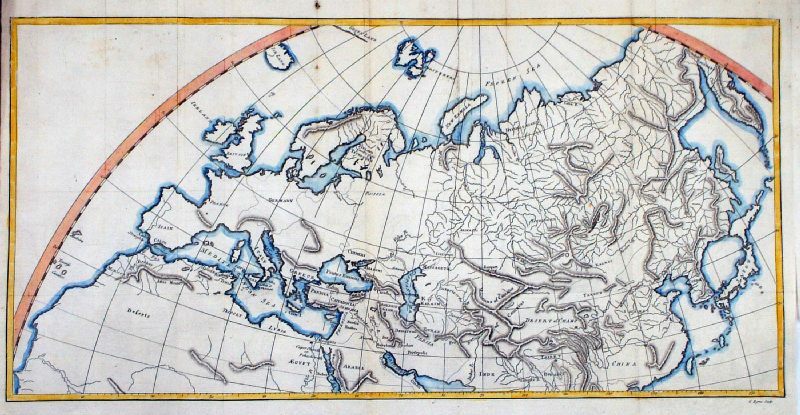 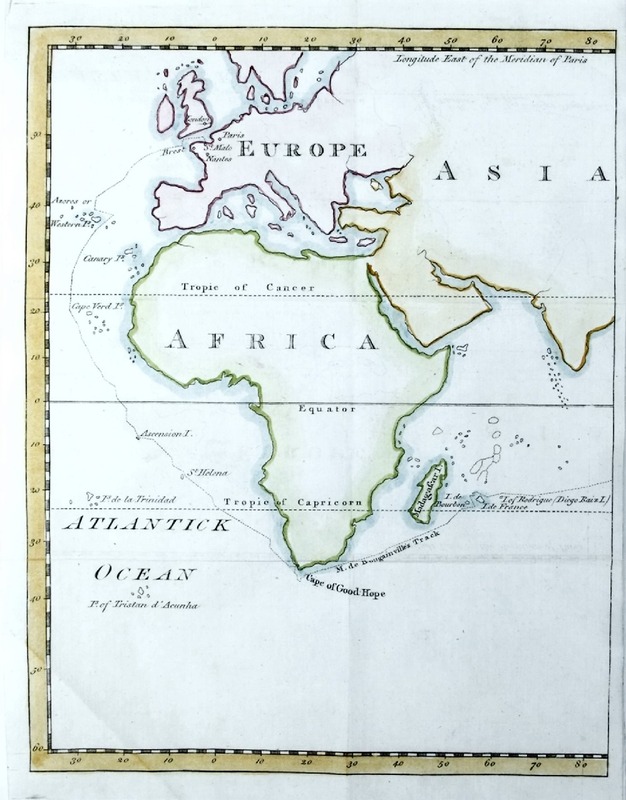 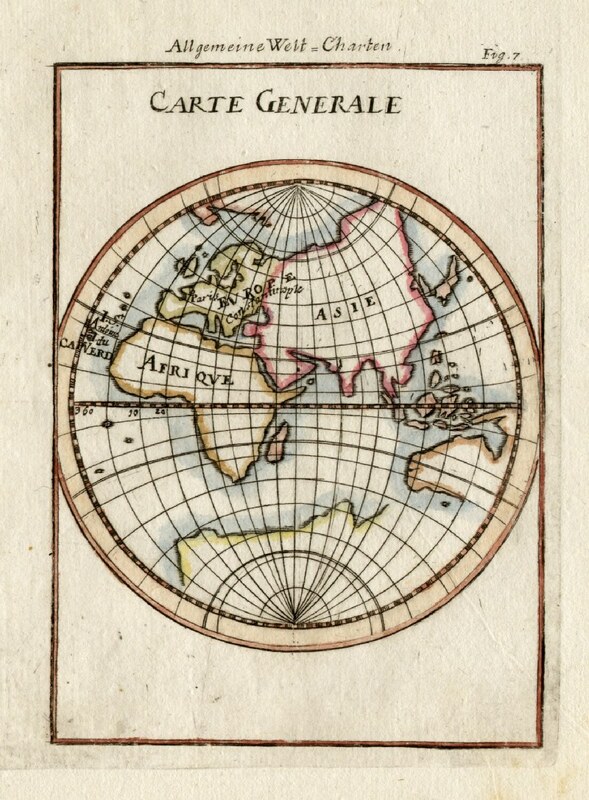 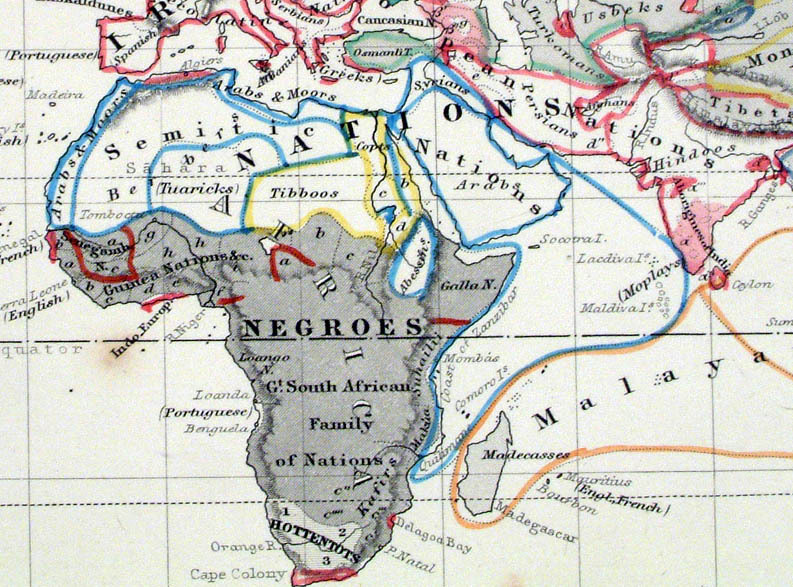 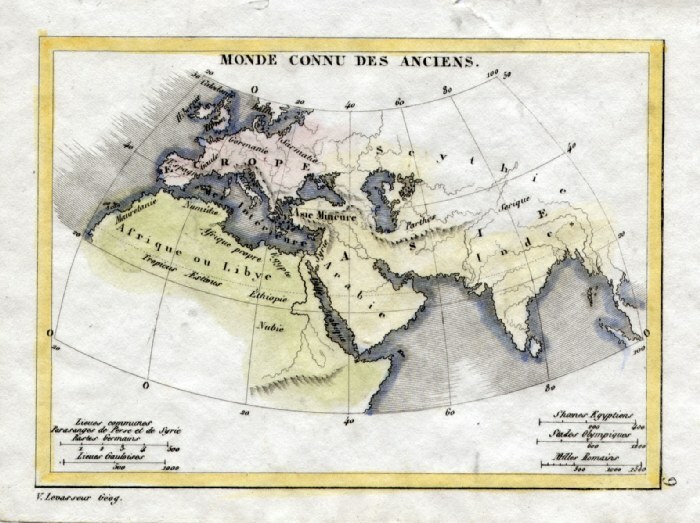 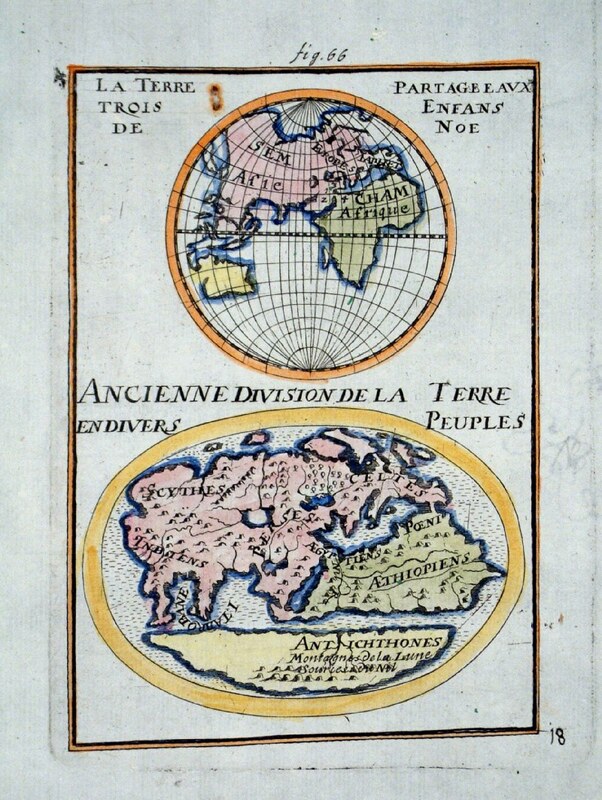 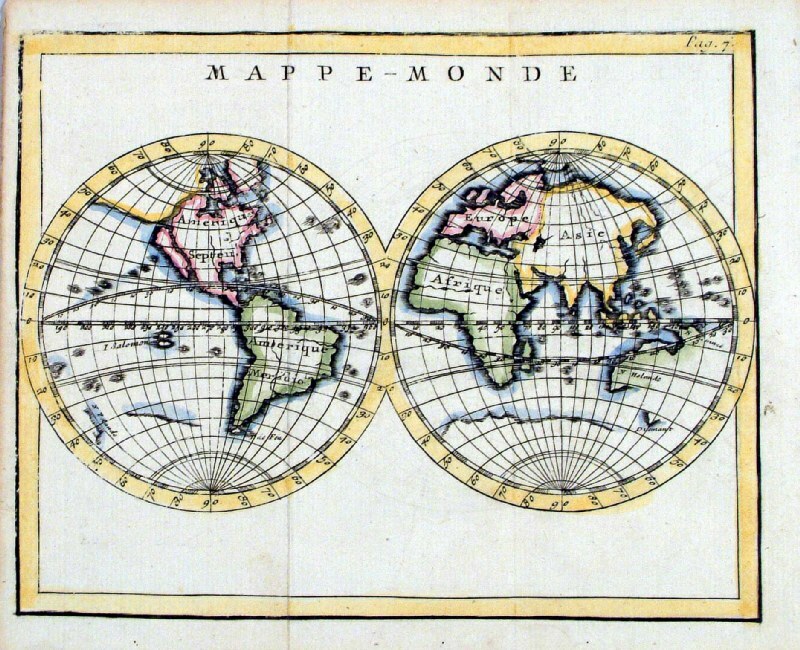 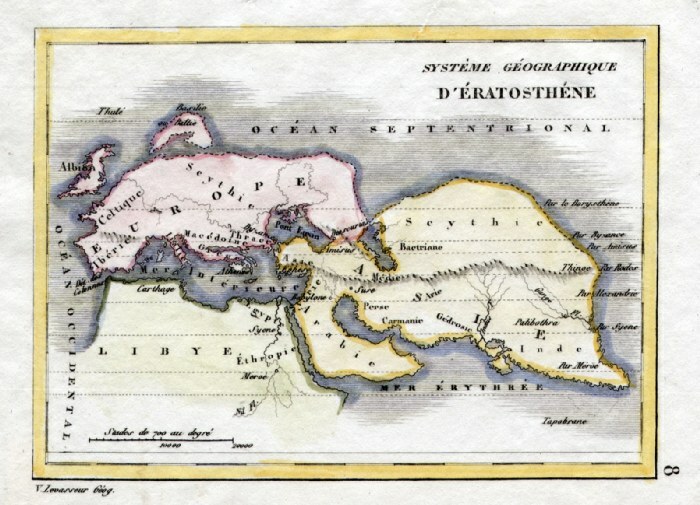 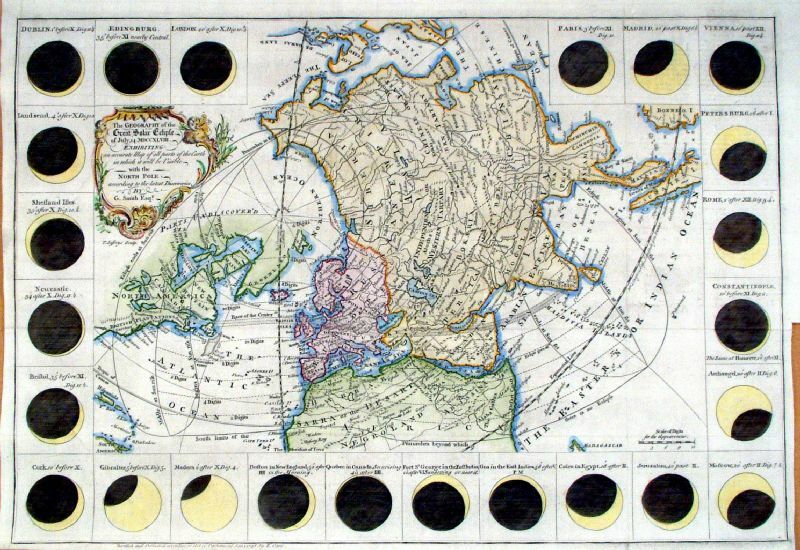 Two maps, sold as the world, intended for display as a pair. 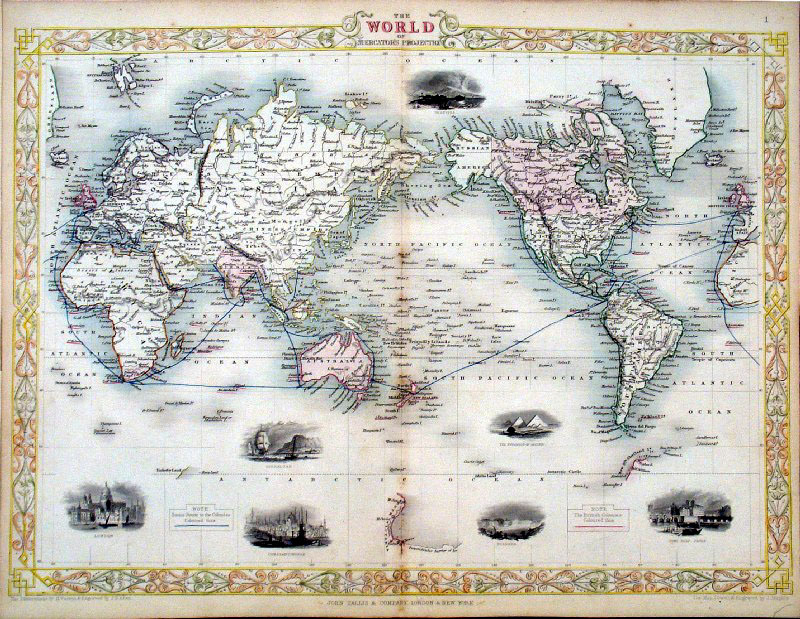 Copper engraving size: 500 x 390 mm, centre fold, minor repair to top-right corner, tight side margins. 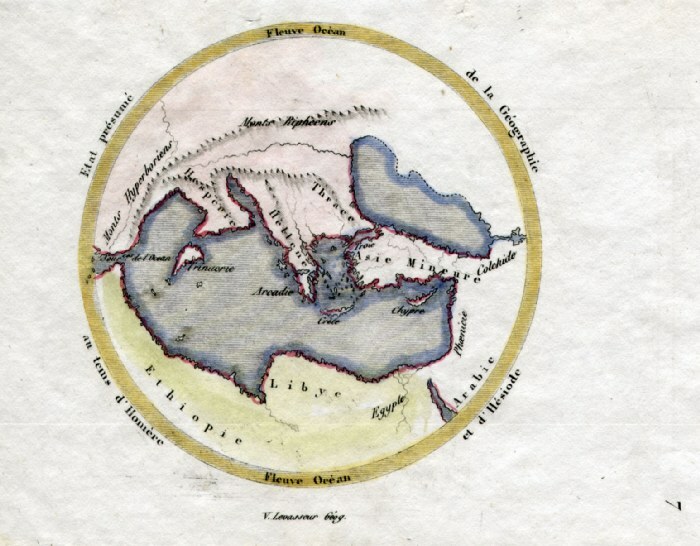 Inset, between hemishpheres, comparative mountains. 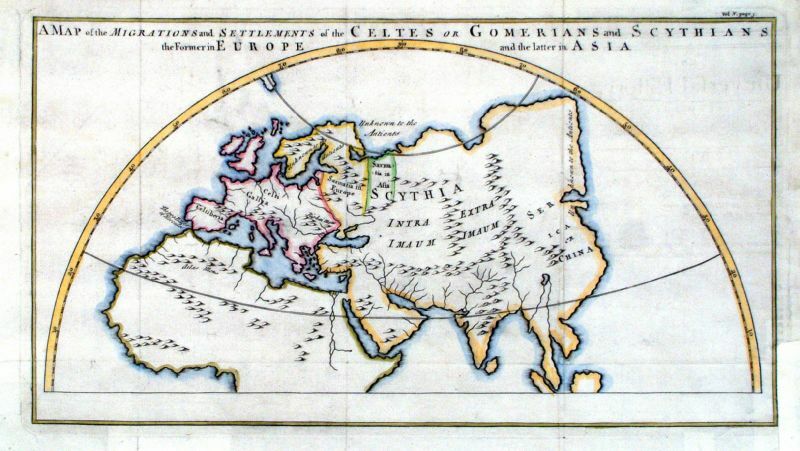 A Map of the Migrations and Settlements of the Celtes or Gomerians and Sythians. 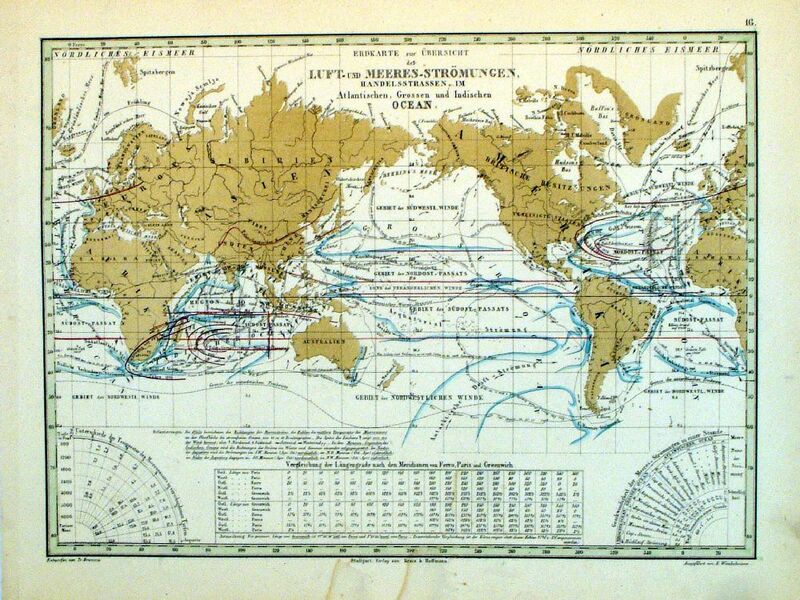 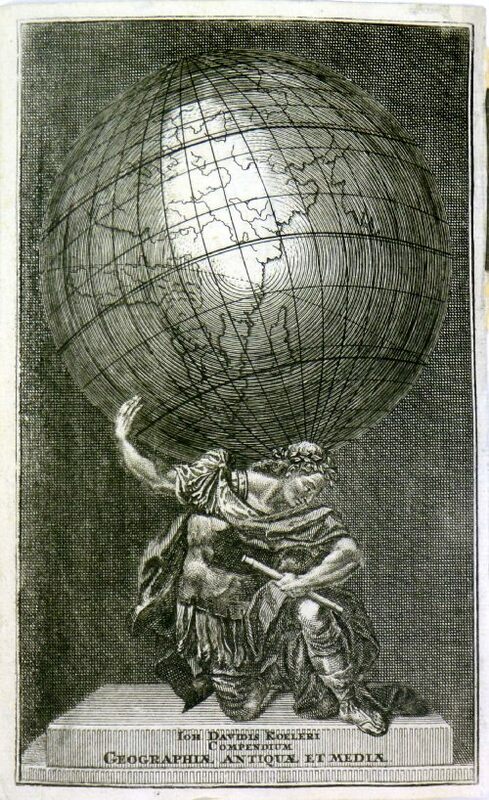 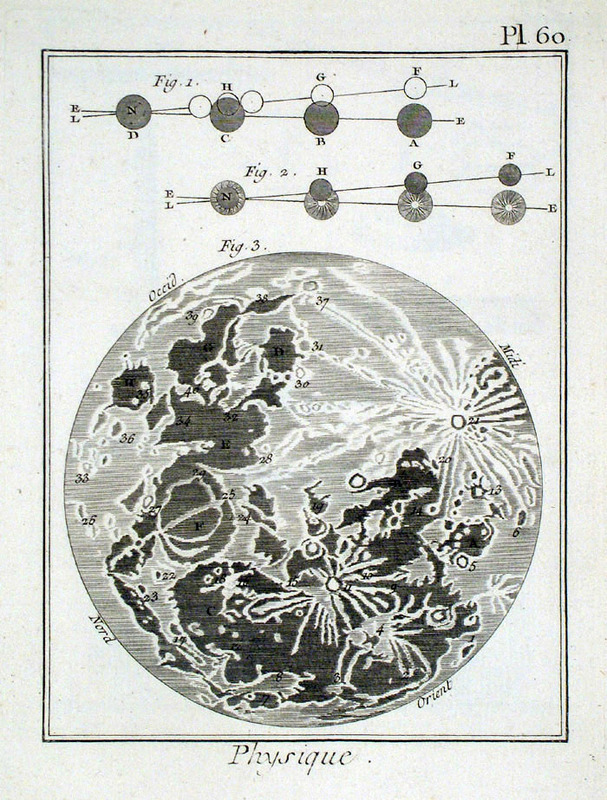 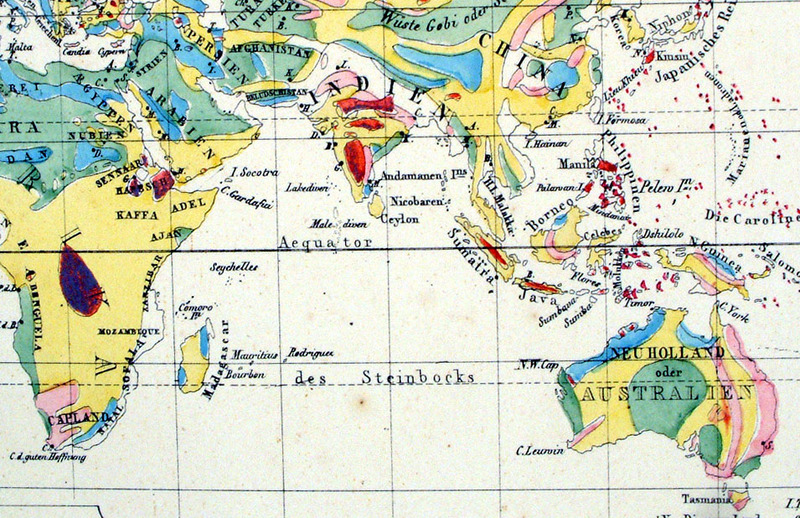 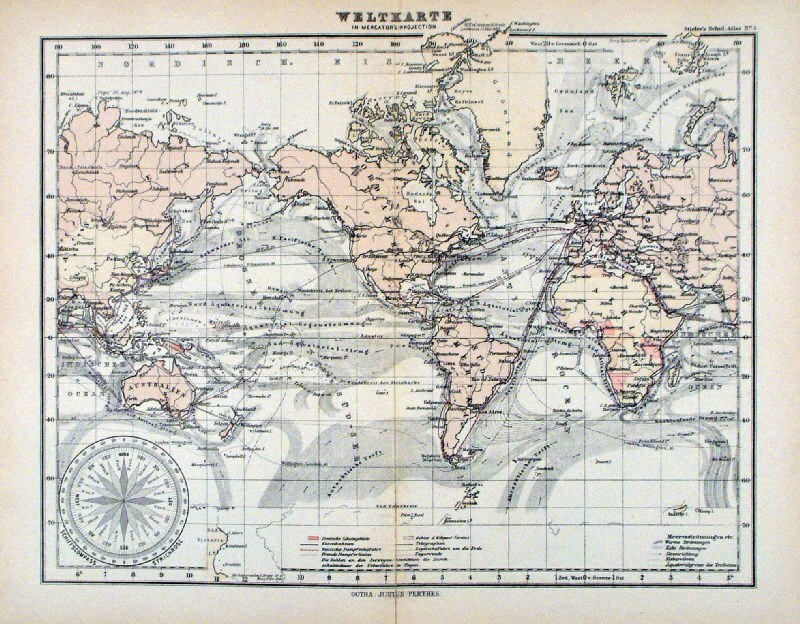 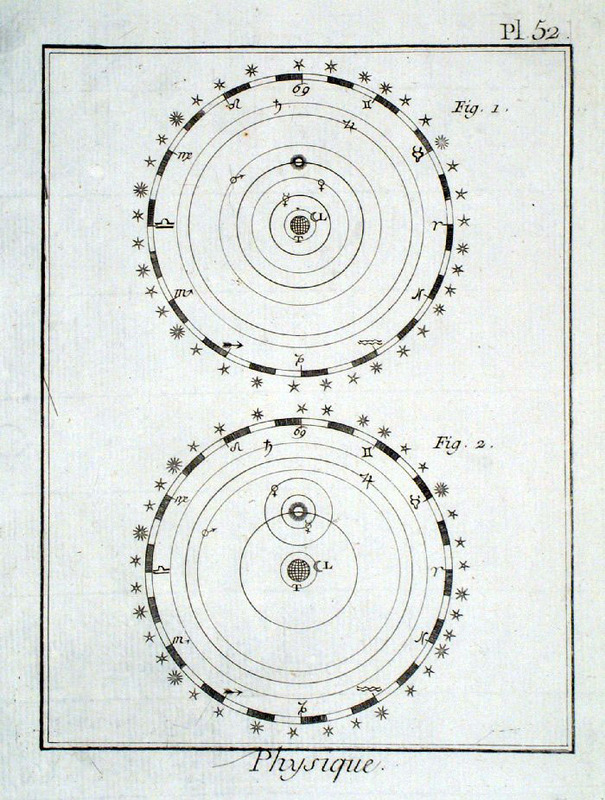 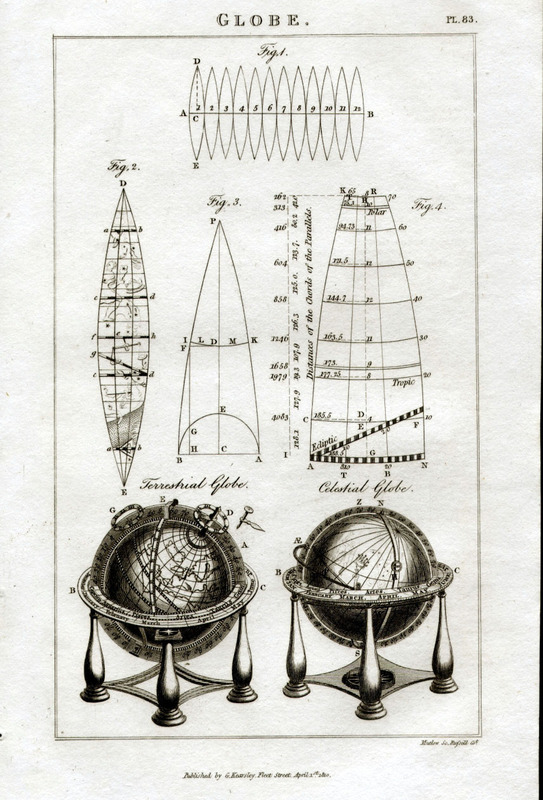 The World - Variations in Magnetism between 1790 - 1830. 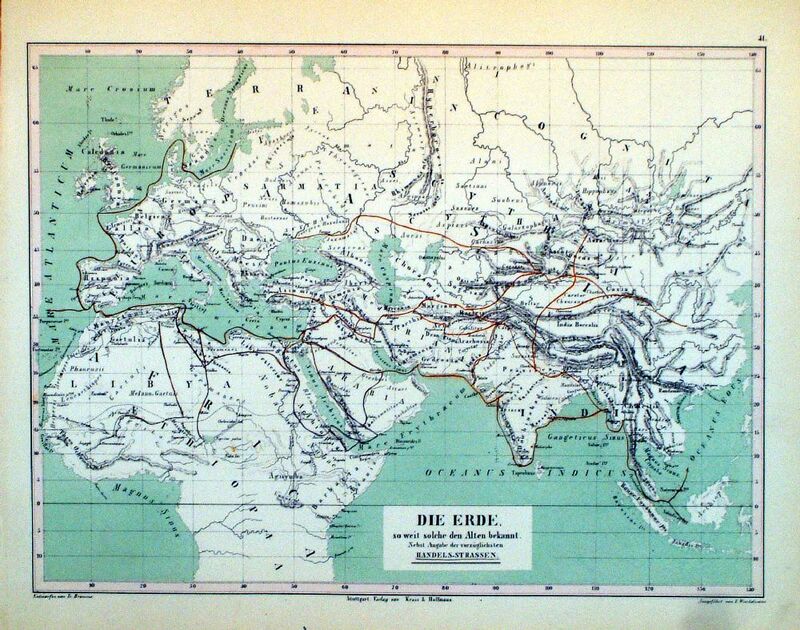 Kart der Isogen, Isoklinen und Isodynamen. 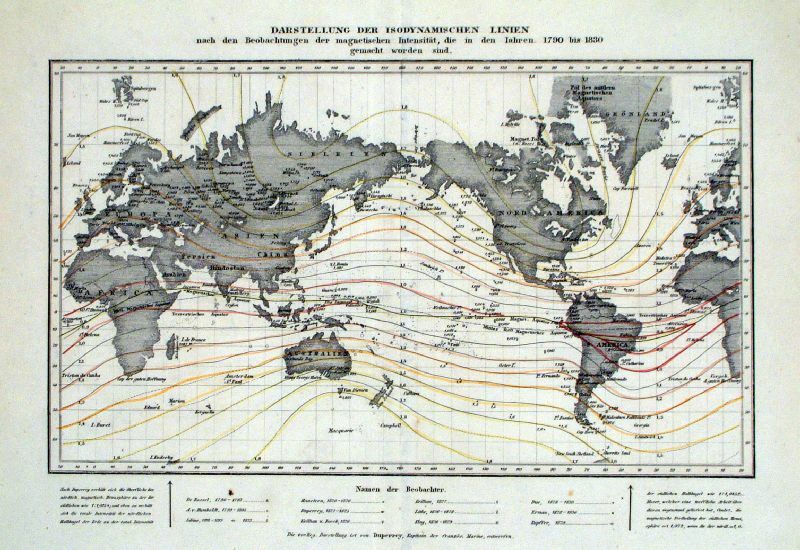 Electrogamnetic Field and the variation in recent history. 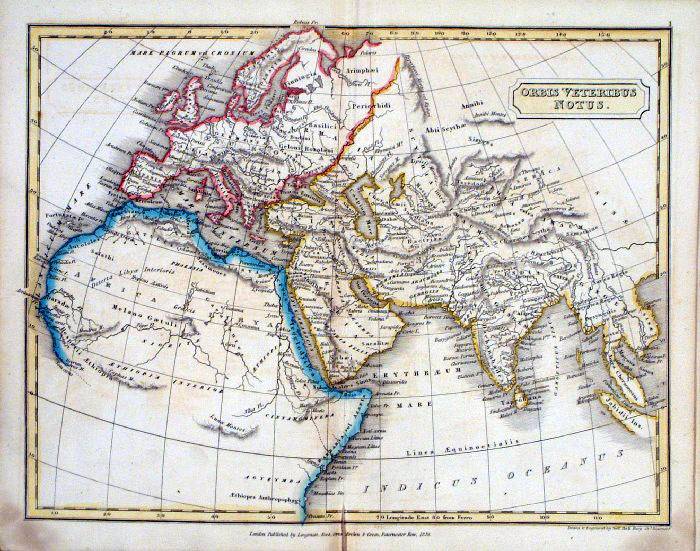 inset of Europe and Western Asia. 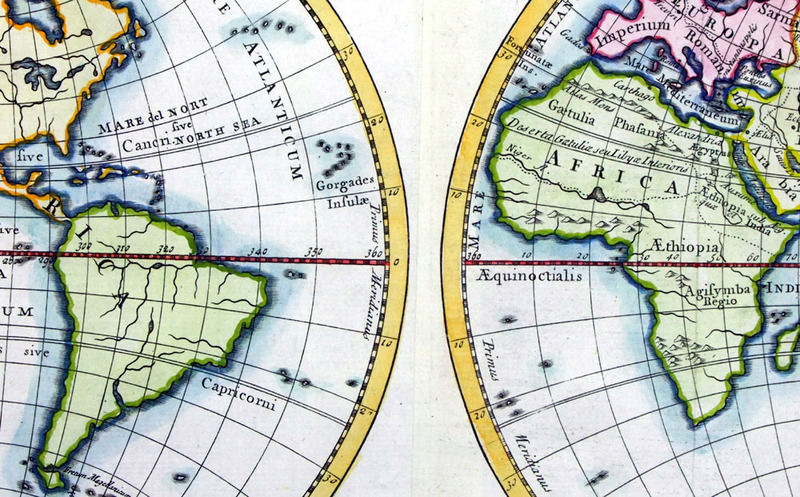 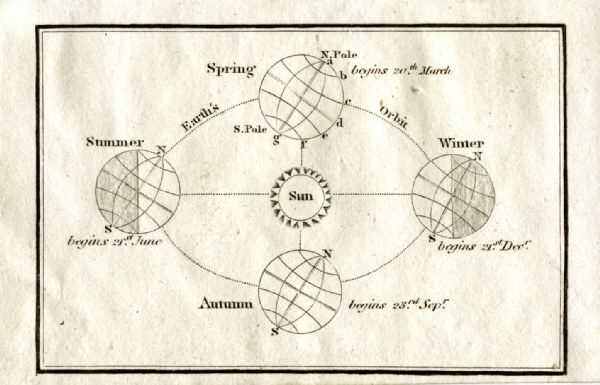 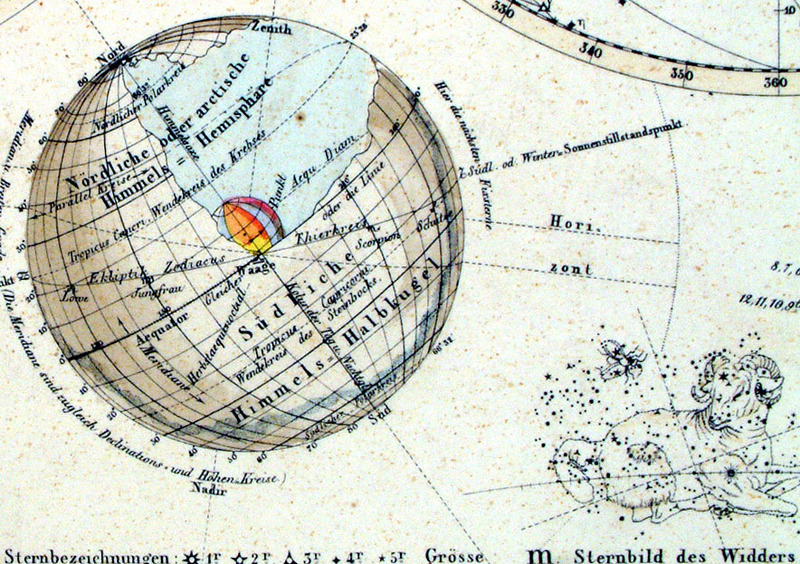 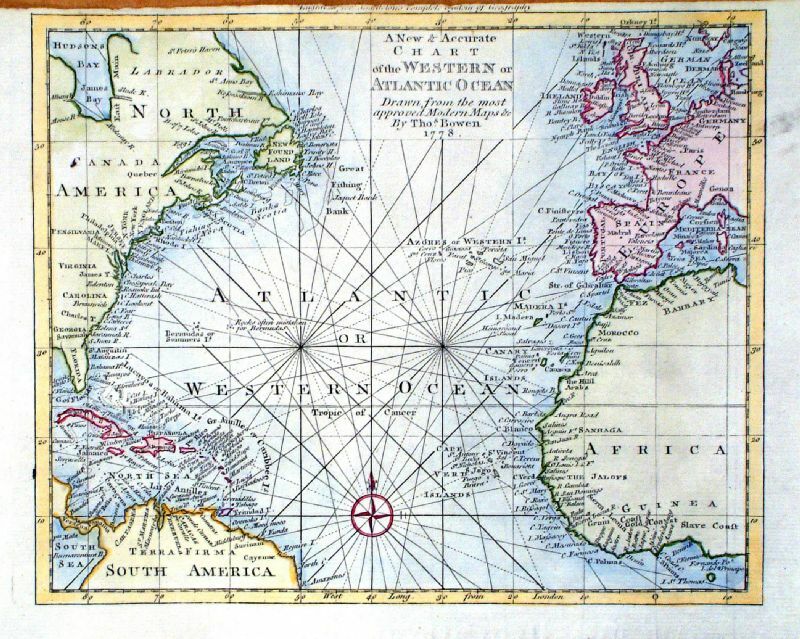 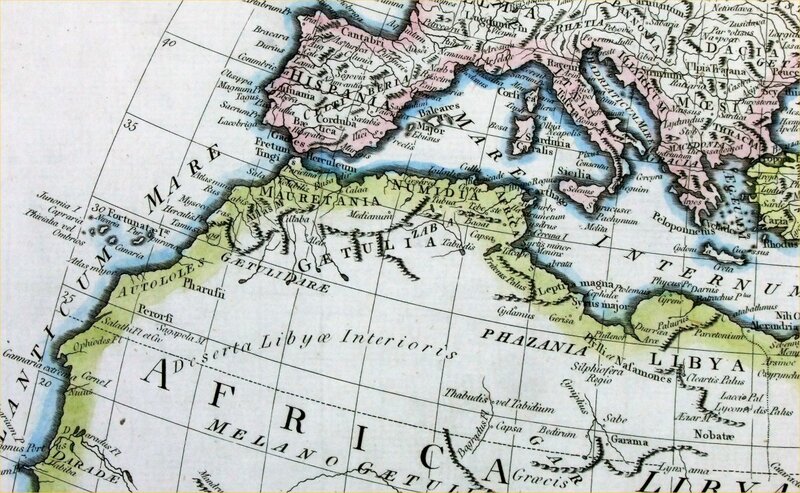 Discoveries with dates, discoverer and direction of discoverer's travel. 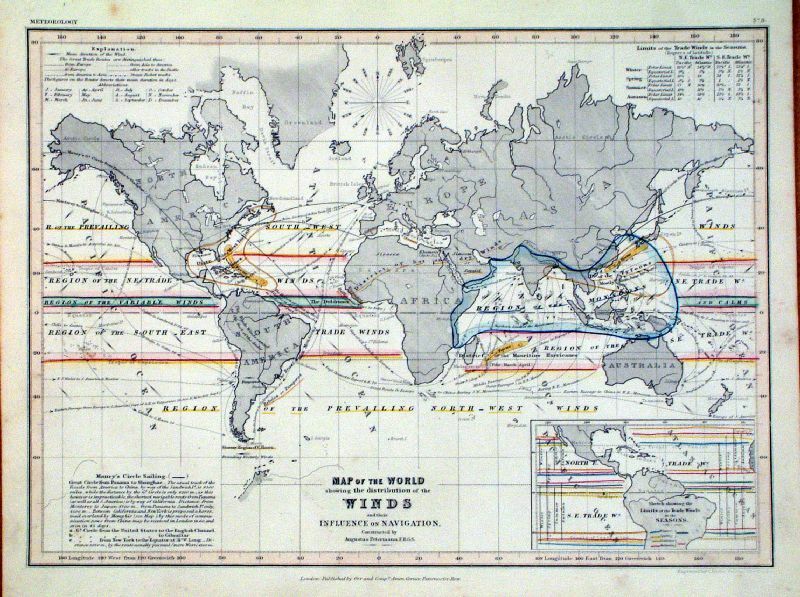 Lines of equal high tides. 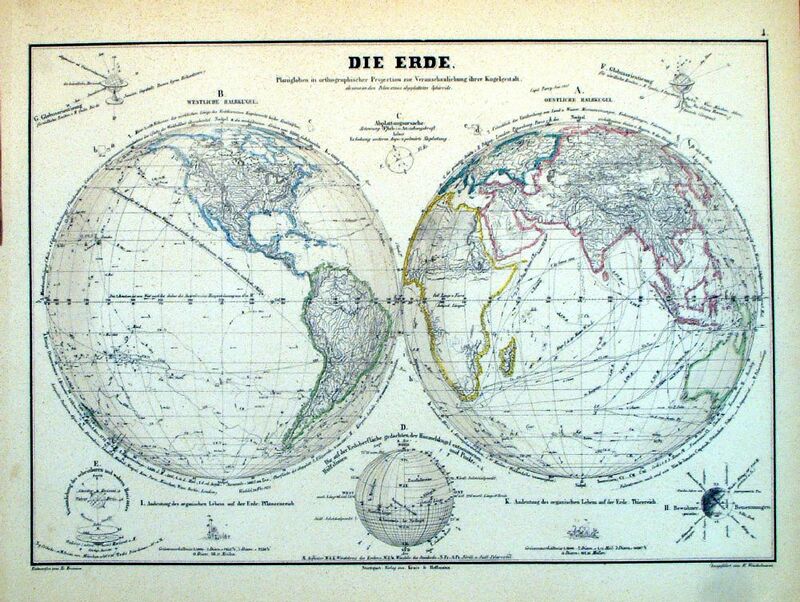 The World - Der Erdkorper in seiner Gestaltung. 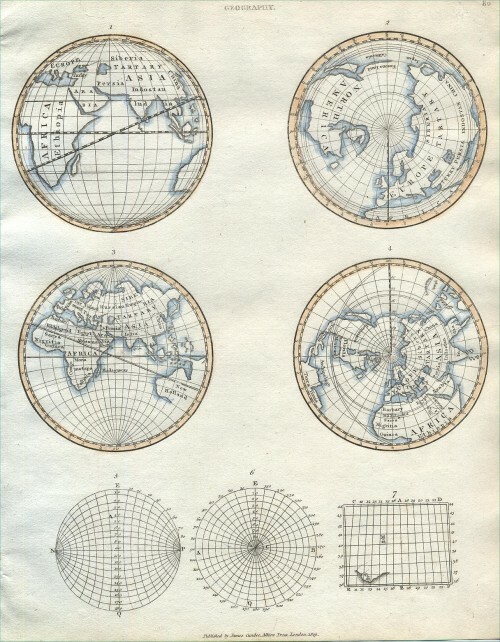 The Earth's Body - various views andprojections. 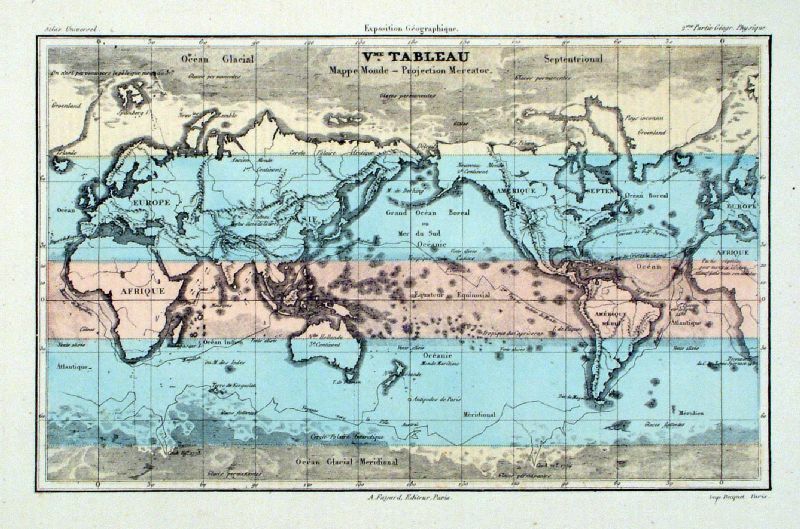 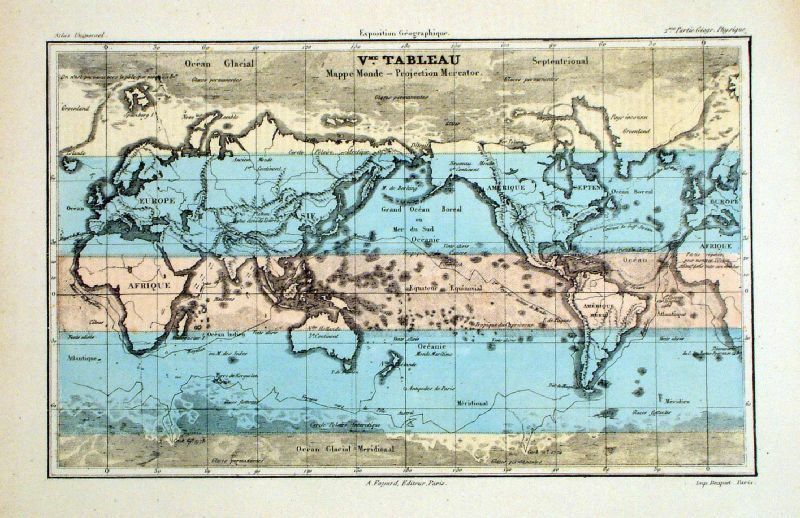 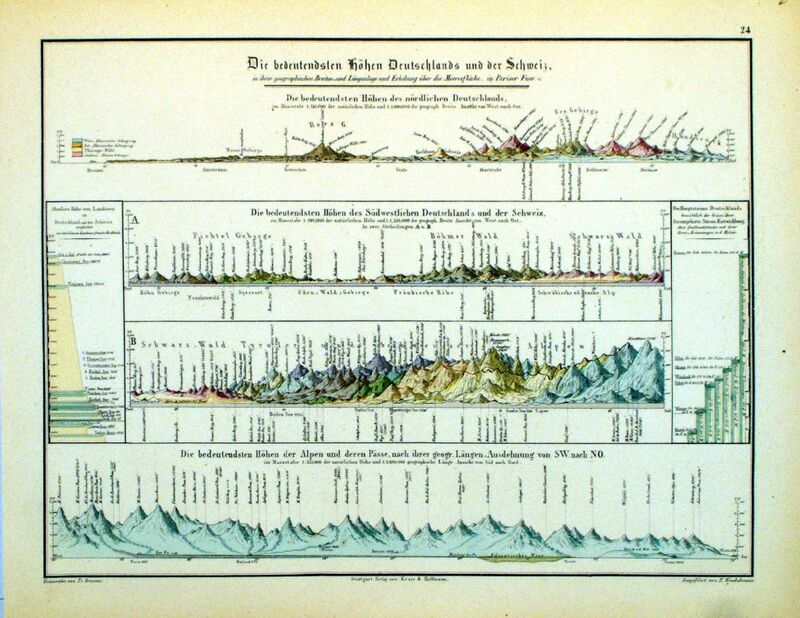 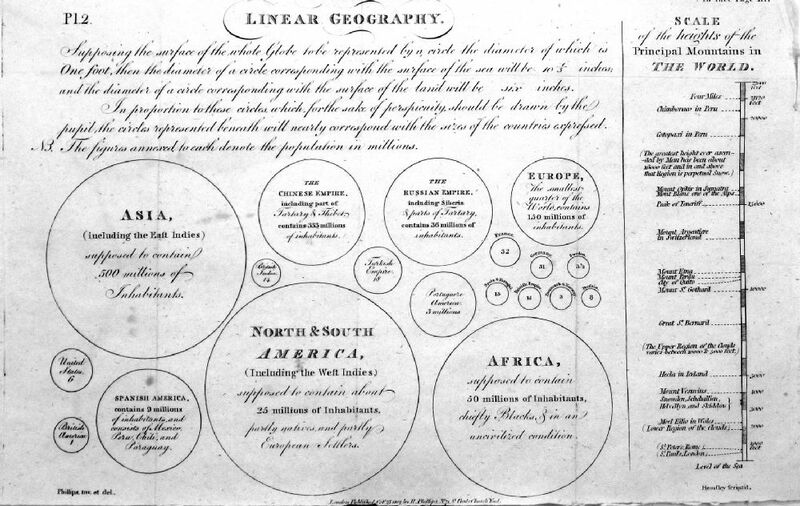 inset of diagram of water, land and continental proportions. 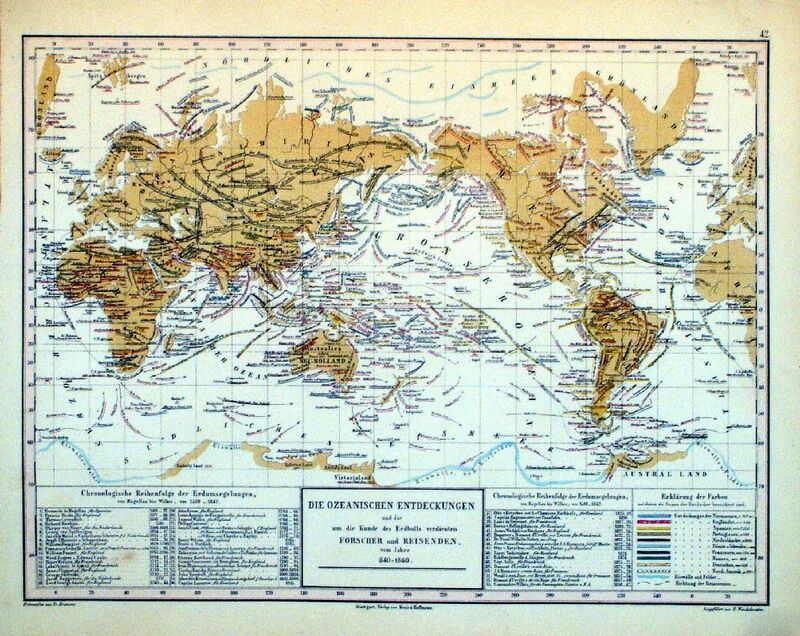 The World - Karte der Isothermen, Isoklinen, Isogonen und Isodynamen mit den Magnetischen Meridianen. 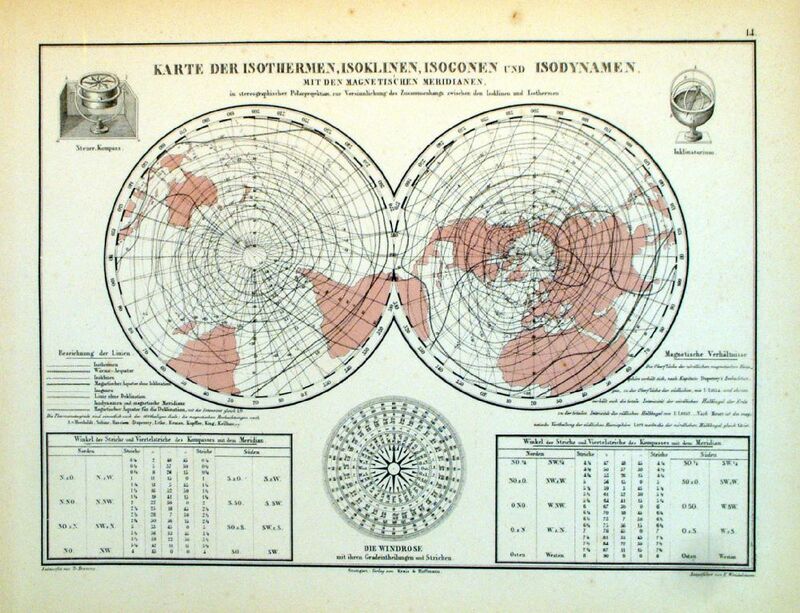 Variations in Temperature and Magnetism from the Poles. 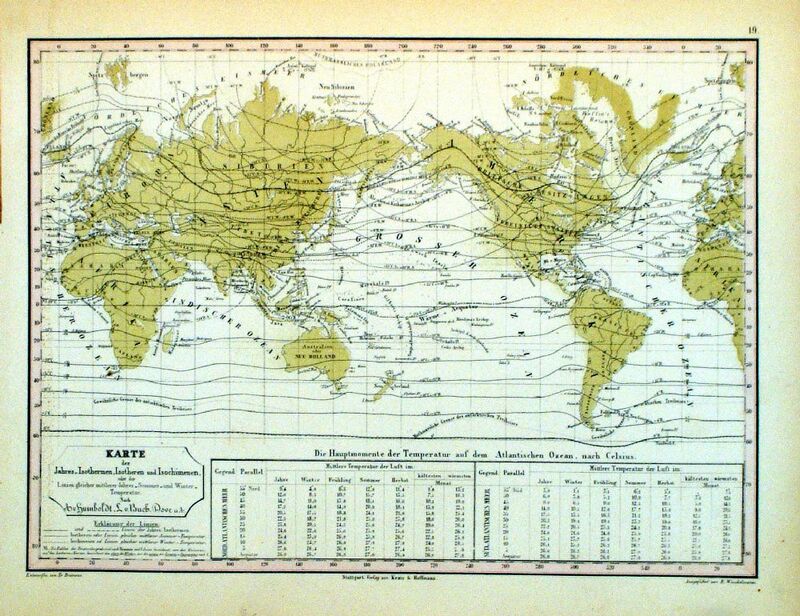 Land masses & Countries shown proportionally sized, with statistics of the time. 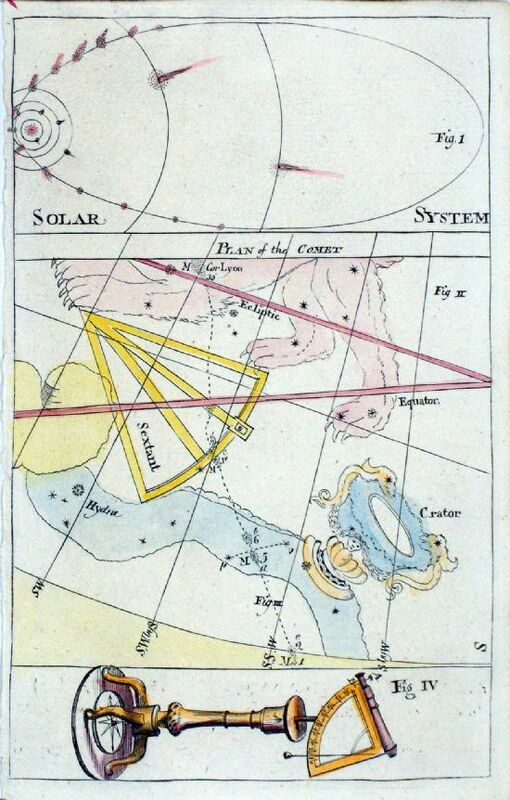 size: 300 x 180 mm, 3 folds, a few faint spots. 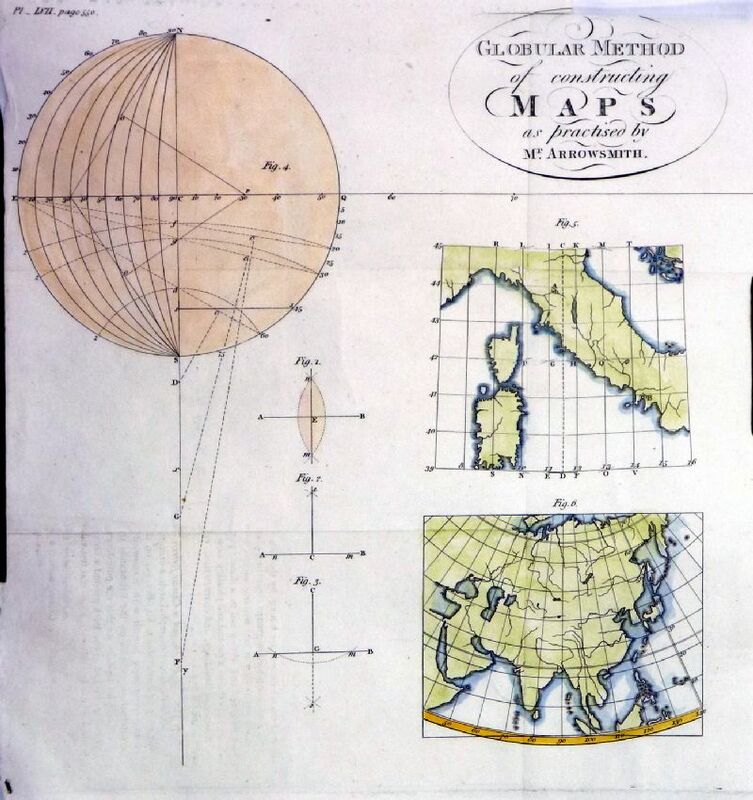 size: 210 x 230 mm, several folds, top right corner missing. 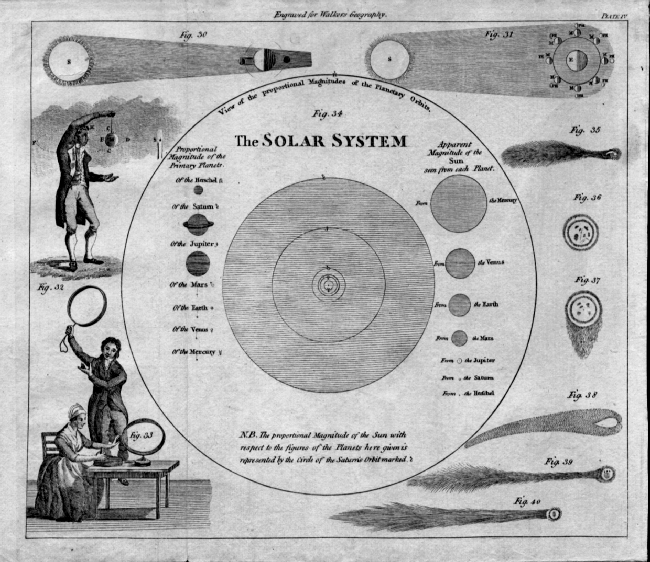 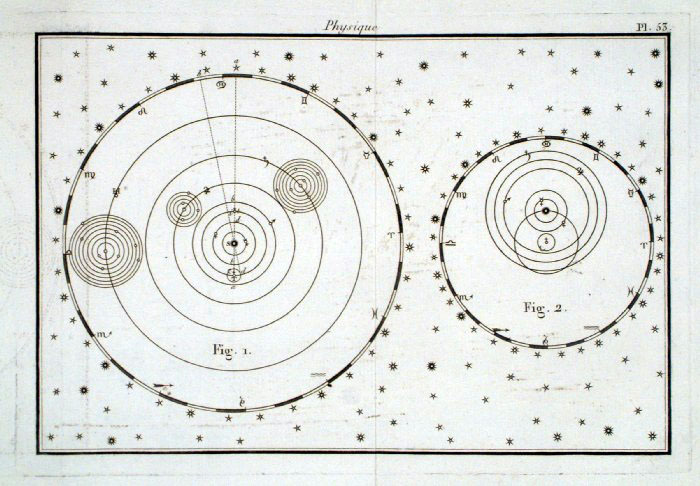 Listed below, but some may appear on the Astronomy Print page. 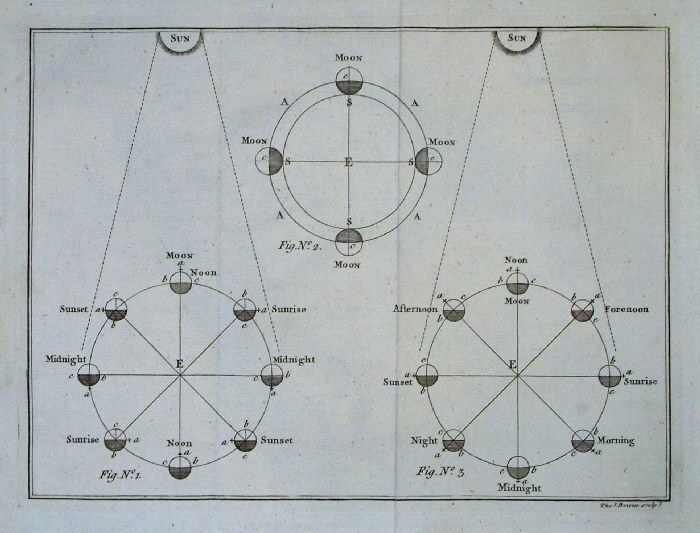 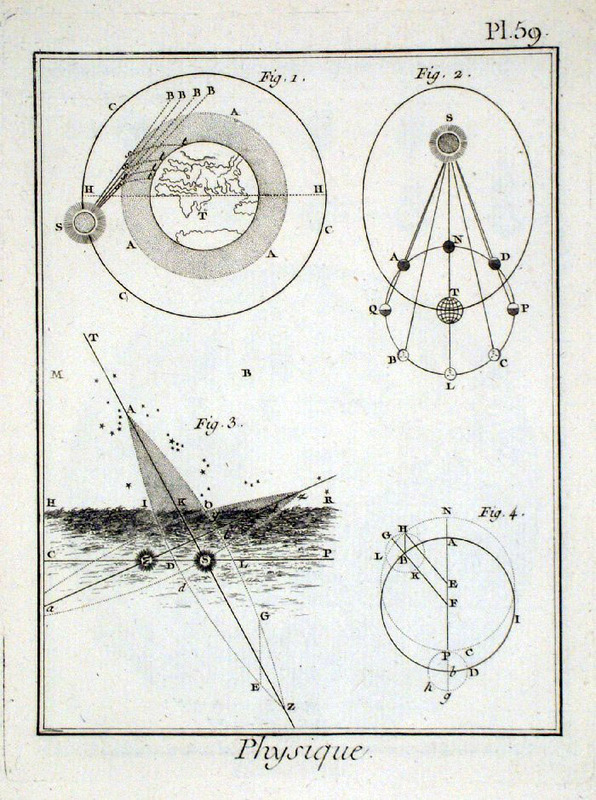 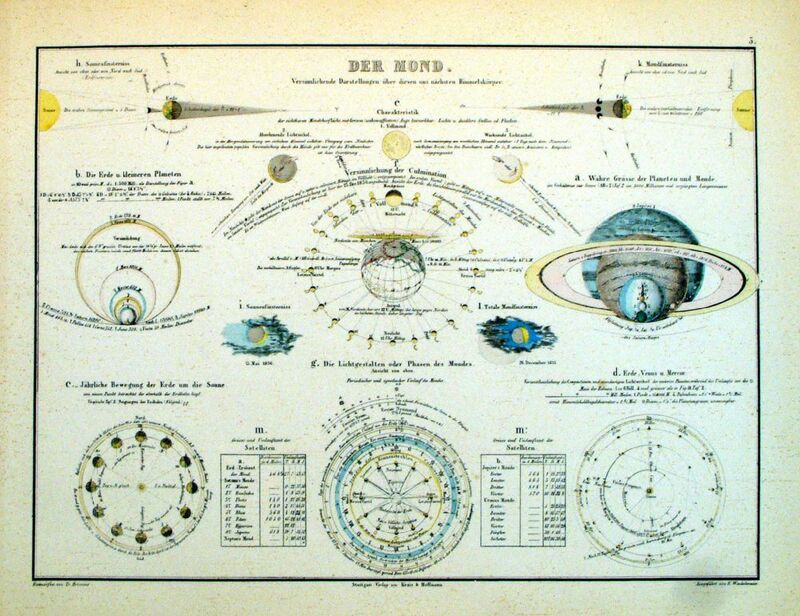 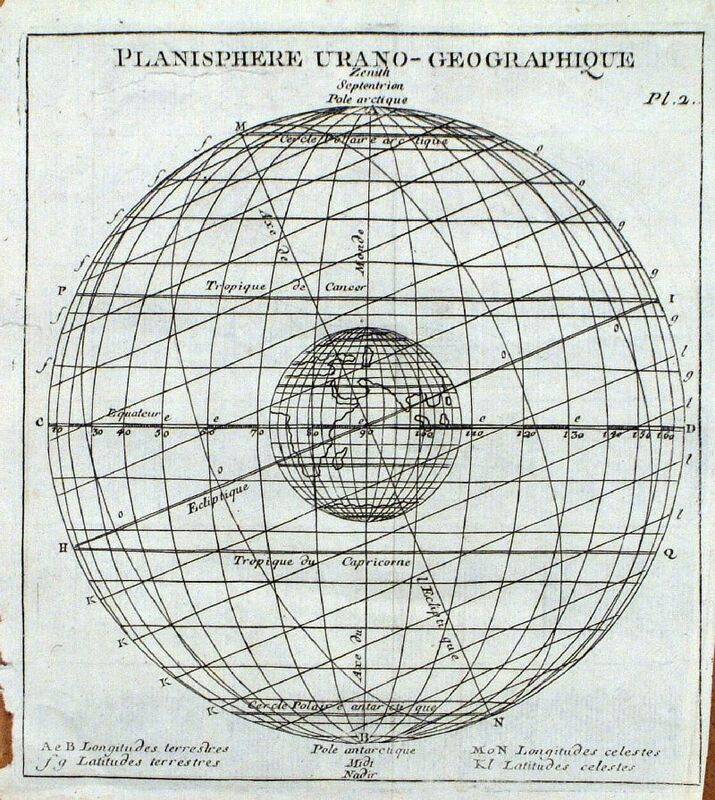 inset of spherical representations of Outer Space.